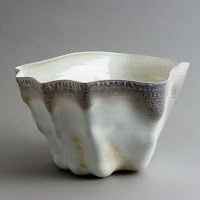 Ceramic vessels of all times - tradition, presence and vitality. 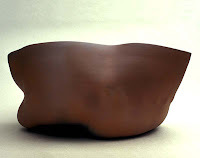 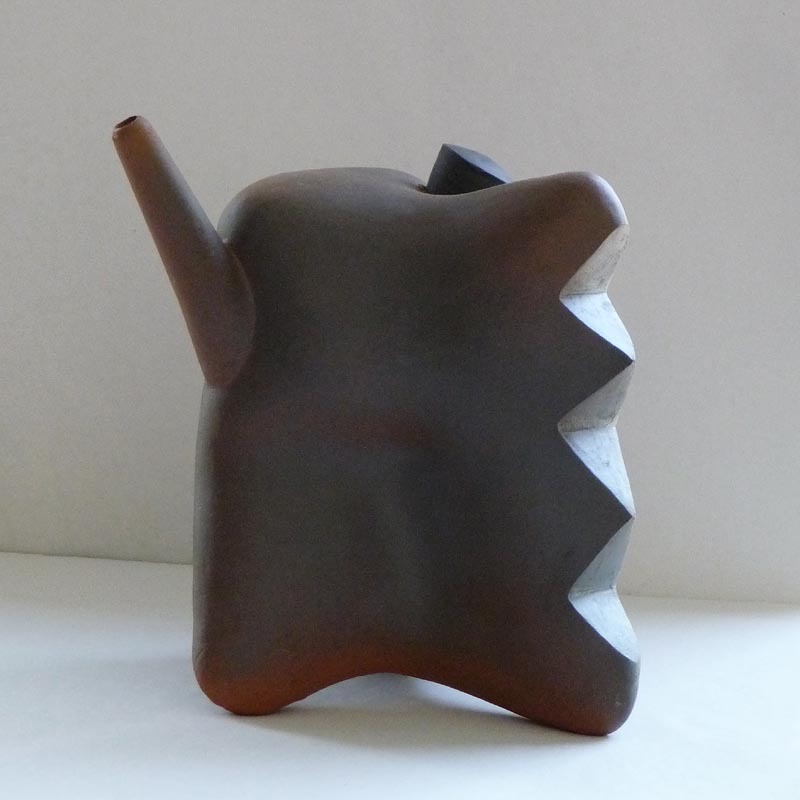 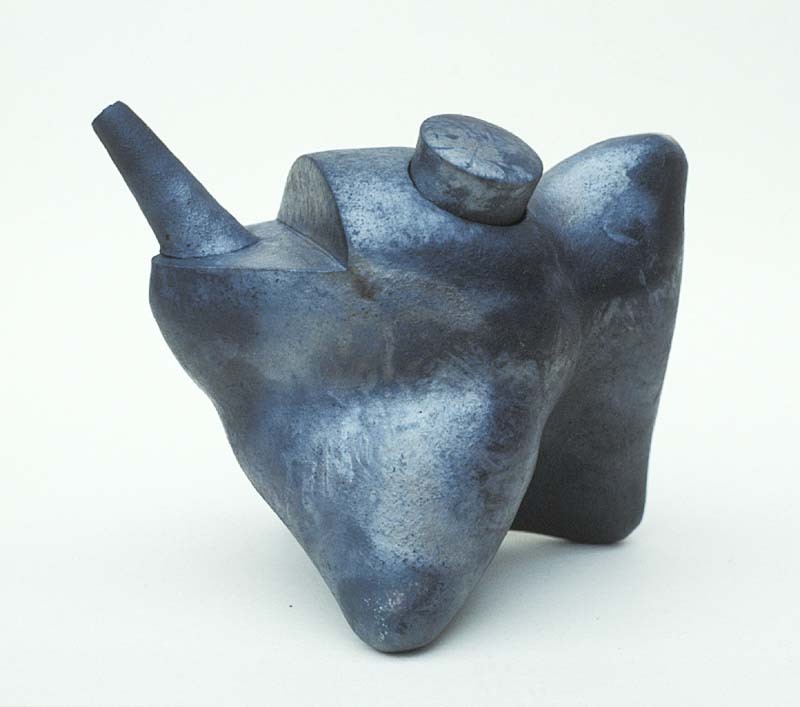 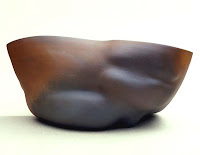 Hans Vangsø is internationally acknowledged for his ceramics work. 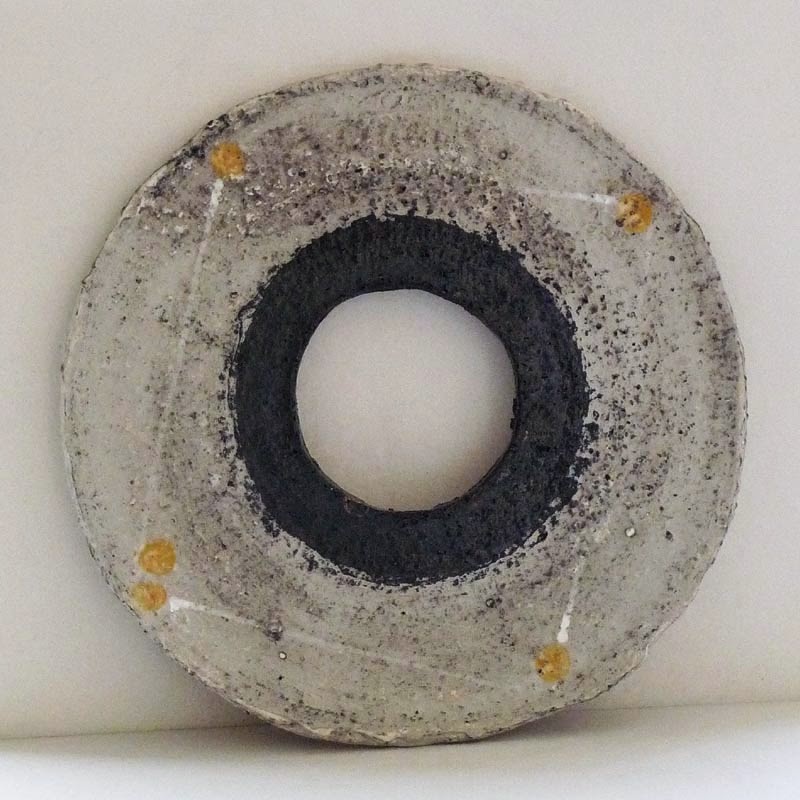 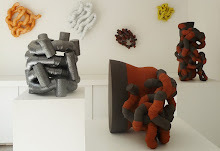 26 MARCH - 30 APRIL ..ITS CLAY - Material matters – matter materials..? 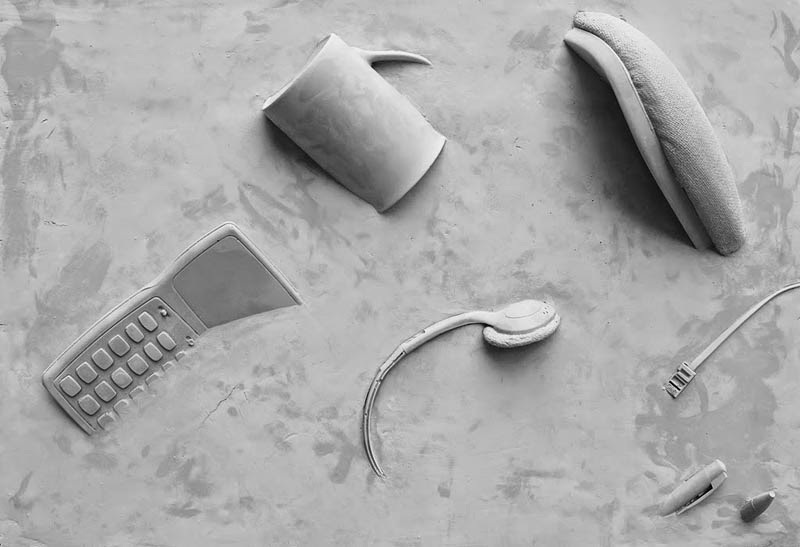 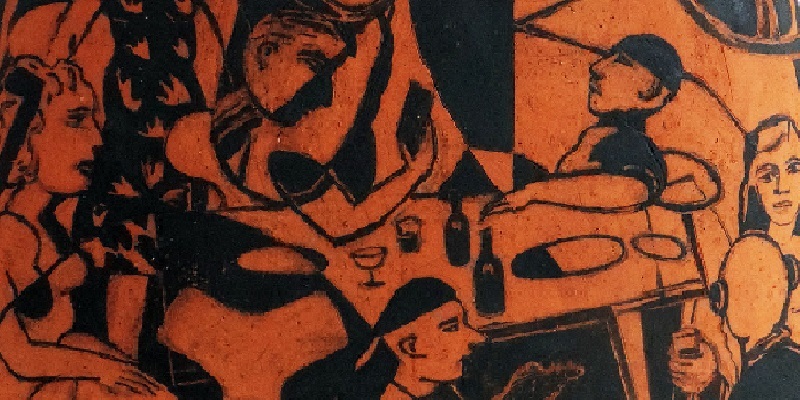 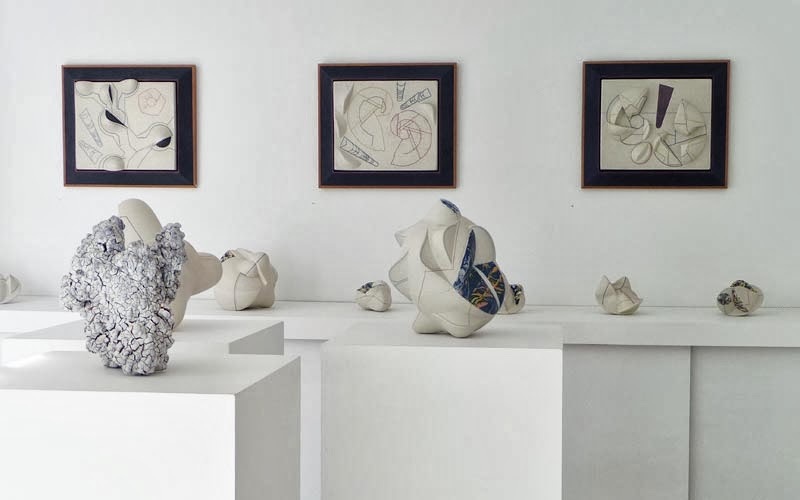 Exhibition of young visual artists – who work in clay. 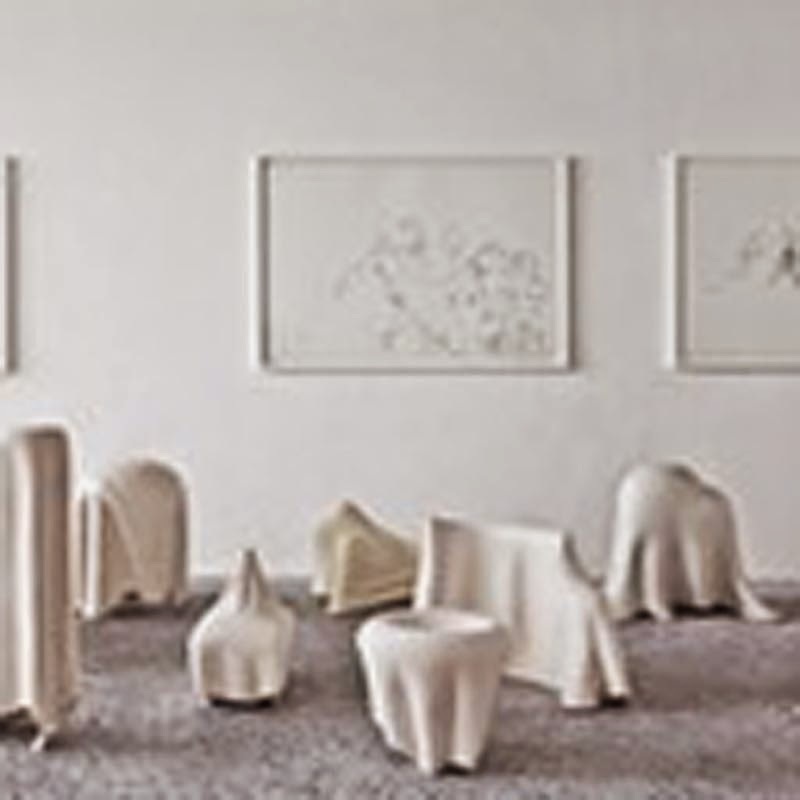 From a relatively short career, they are working with a wide range of philosophical and artistic ideas, but come of the same place, time and education. 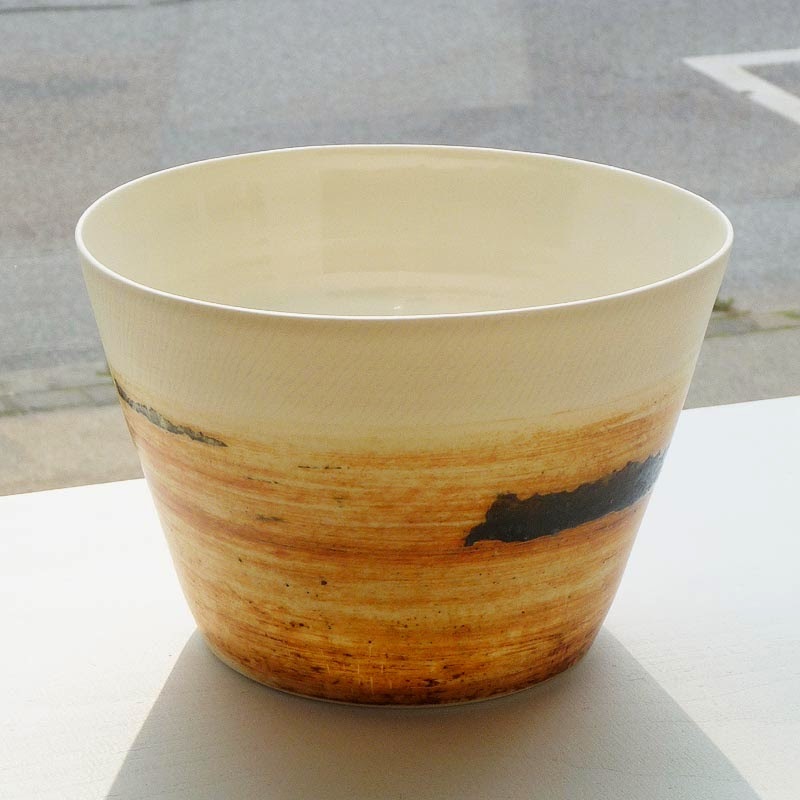 Anne Fløche has a sensitive poetic eye for forms and signs in nature. 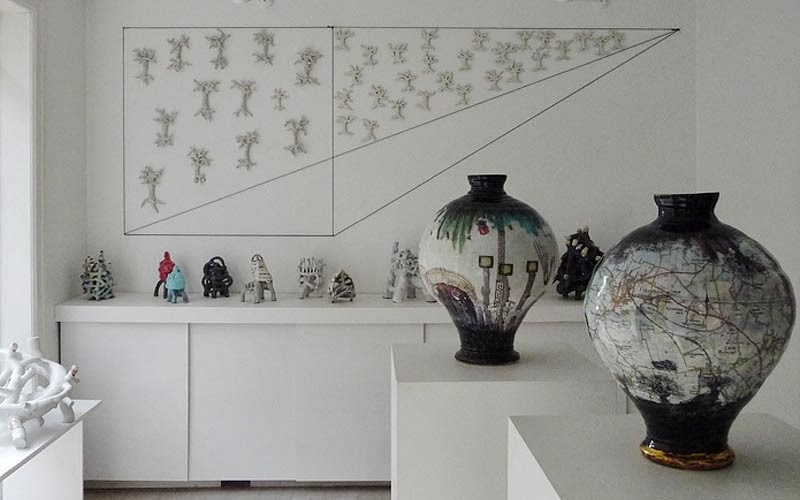 Her work has a mythical spherical expression inspired by the oriental ceramics history with references to Northern Europe, the Mediterranean and Turkey. 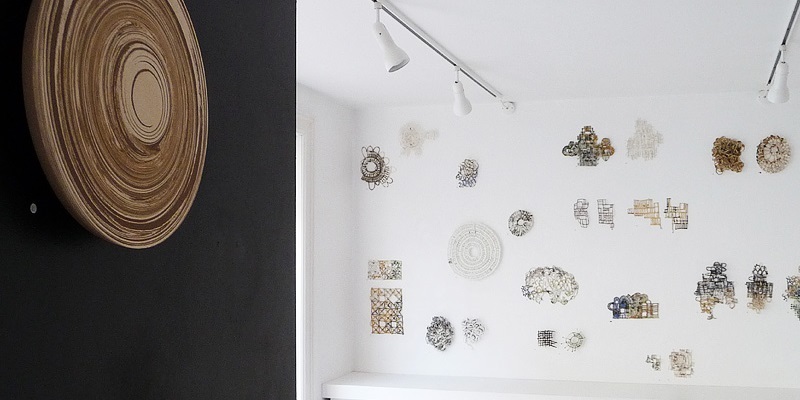 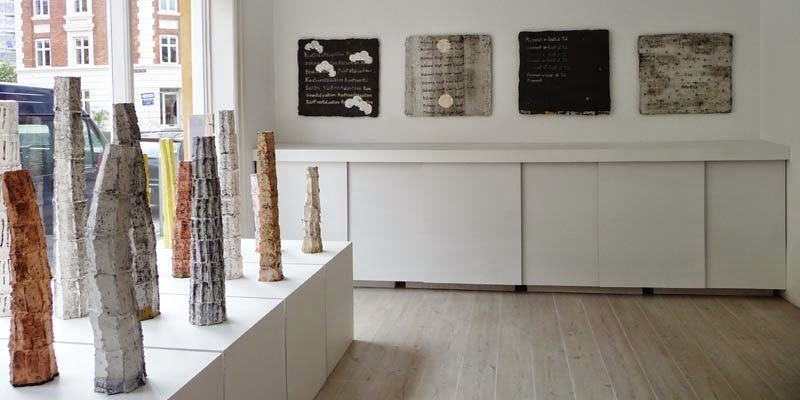 This exhibition presents her new wall objects, abstract ceramic painted images, written symbols and characters. 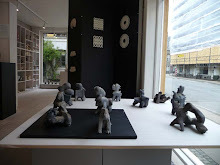 Collaboration project with references to Asian decorative form. 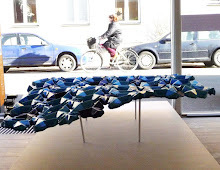 It is an investigative installation in the meeting between Danish-Japanese minimalism and expressive decoration, inspired by the Indian shape and colour palette of heavily decorated and expressive colour combinations that finds its own beauty, balance and extreme refinement. 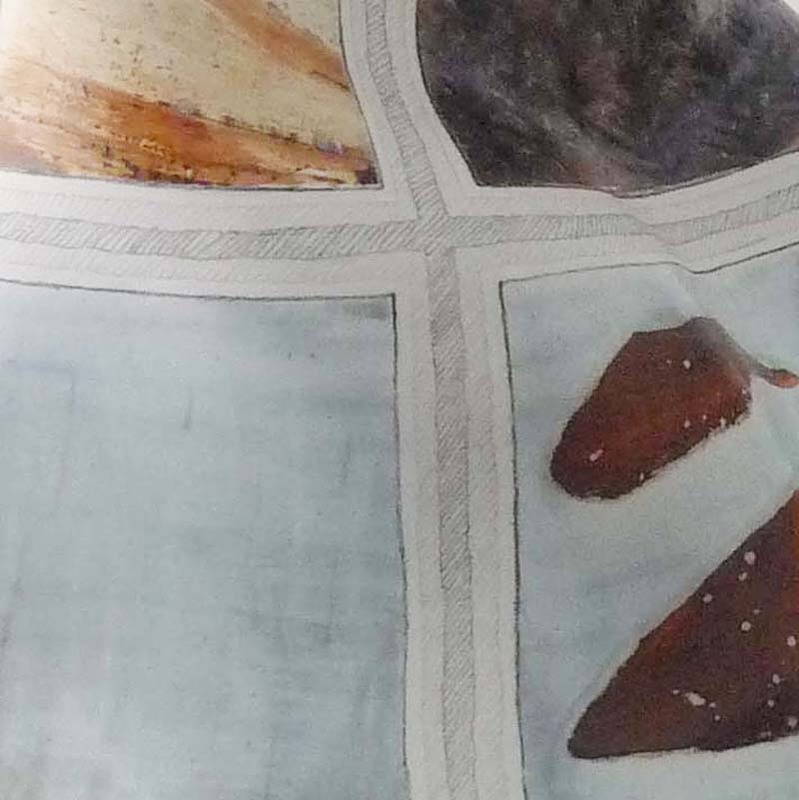 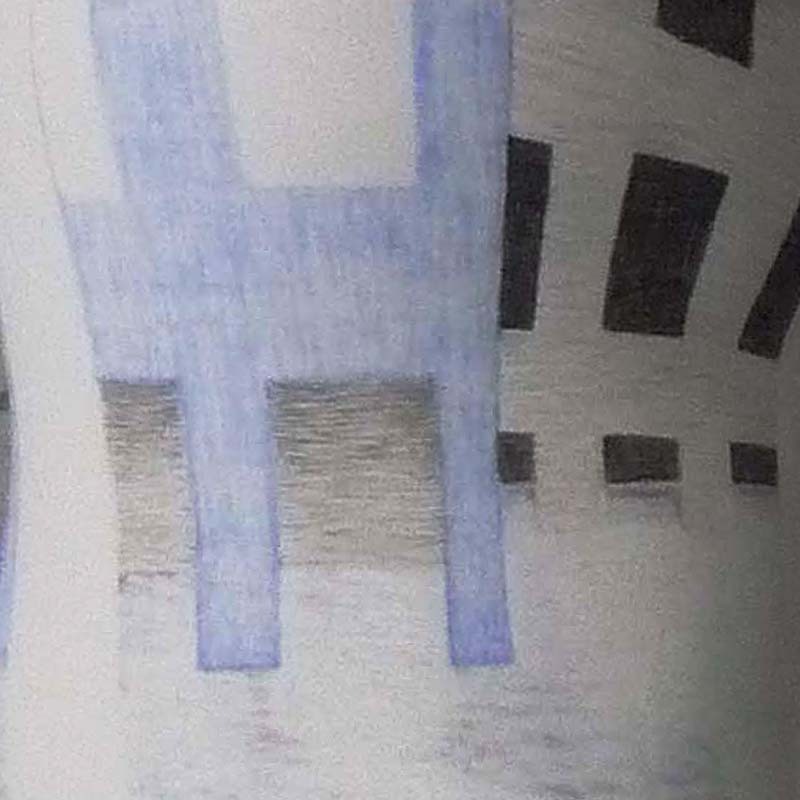 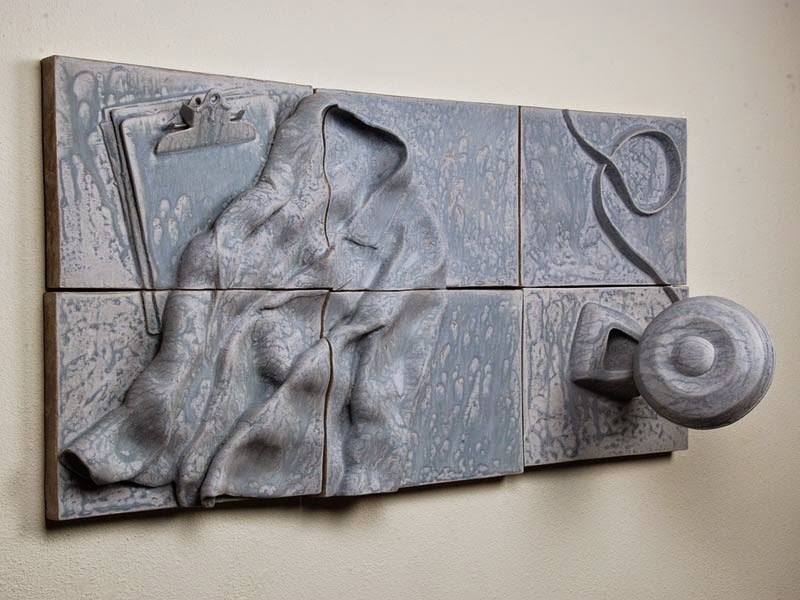 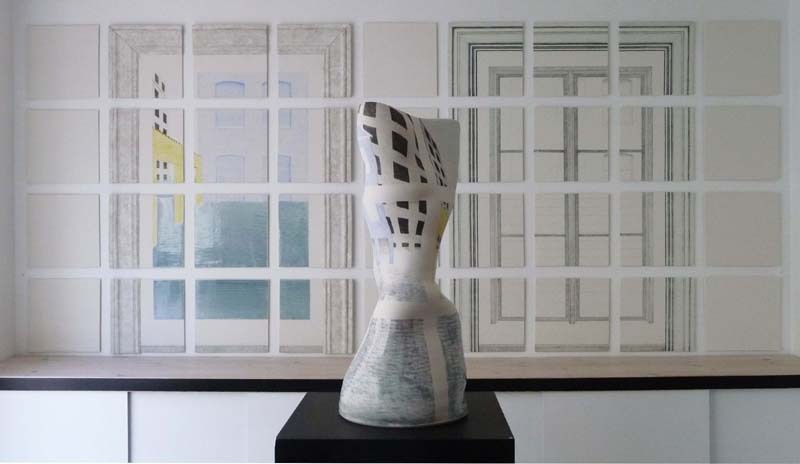 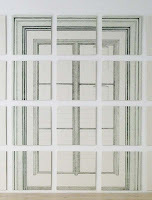 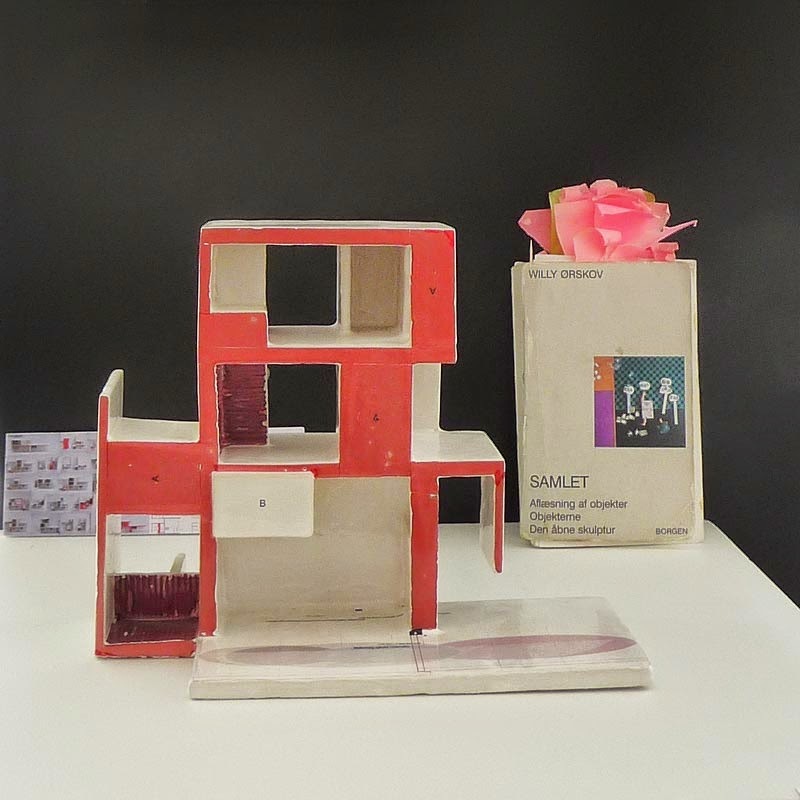 City architecture in ceramic pieces: icon-trace-signature-label. 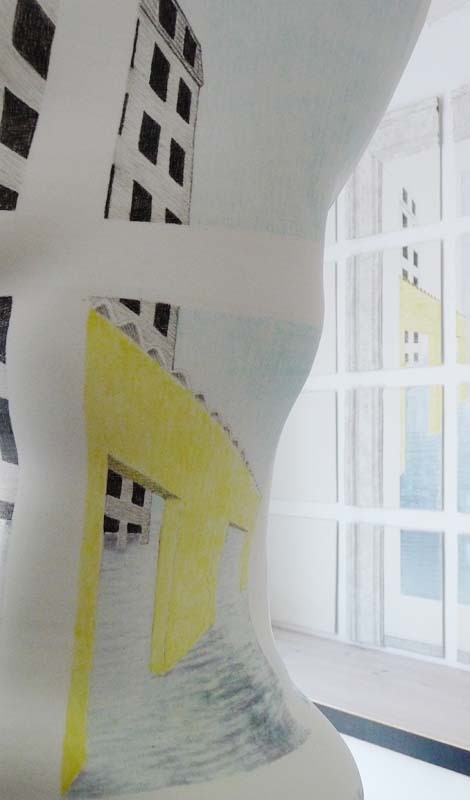 Referring to urban structures in the concept of gentrification, a term for socio-cultural change taking place in areas, where street art and graffiti are inspiration for architects and city planners. 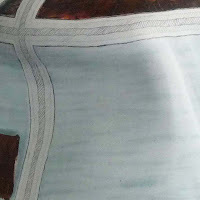 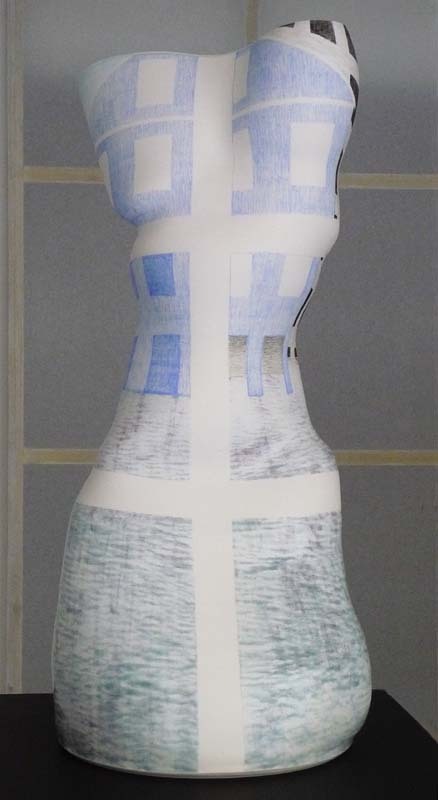 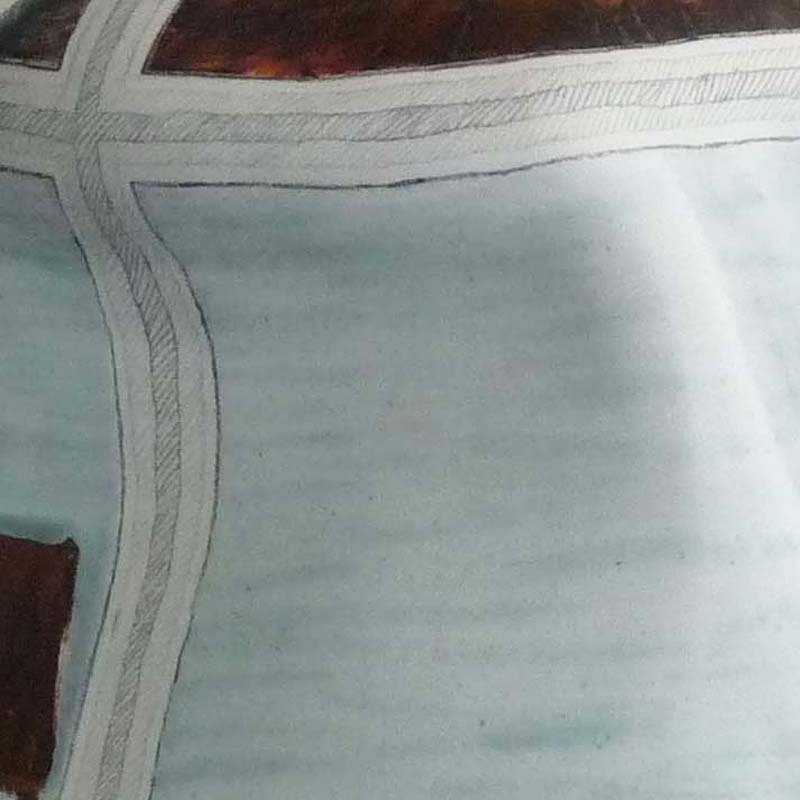 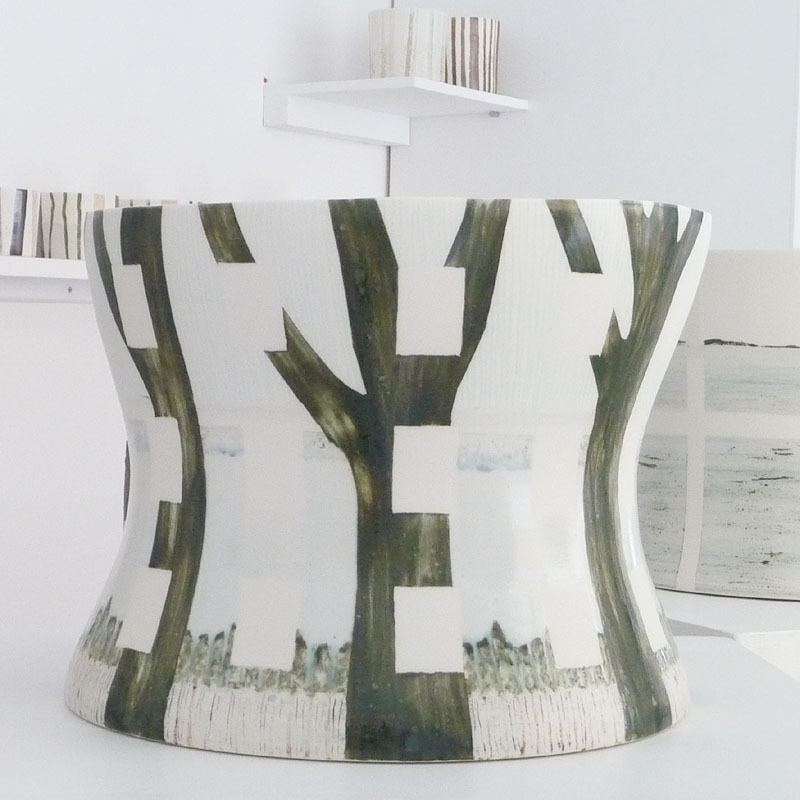 Techniques from 2D drawings to 3D modelling and ceramic transfer. 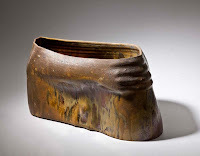 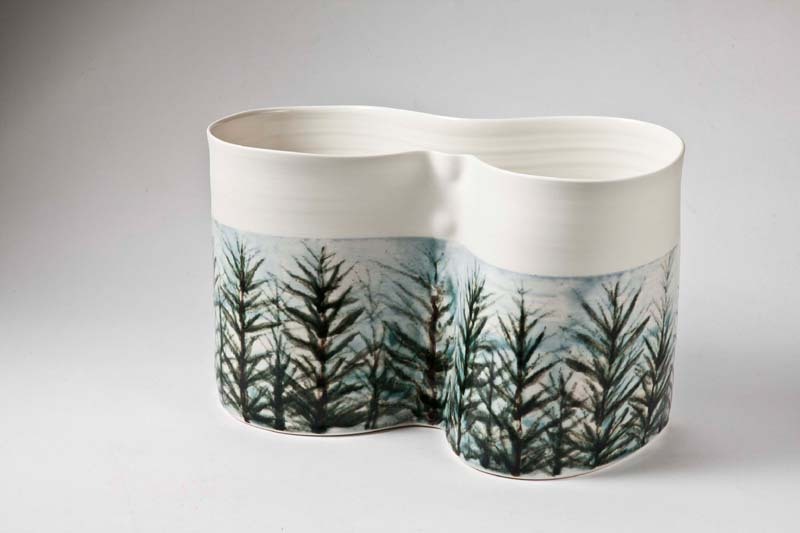 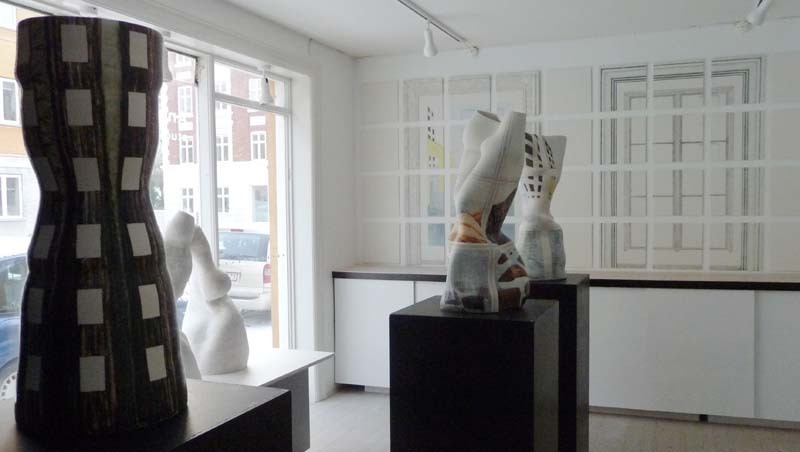 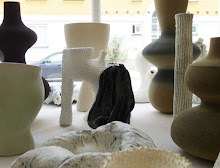 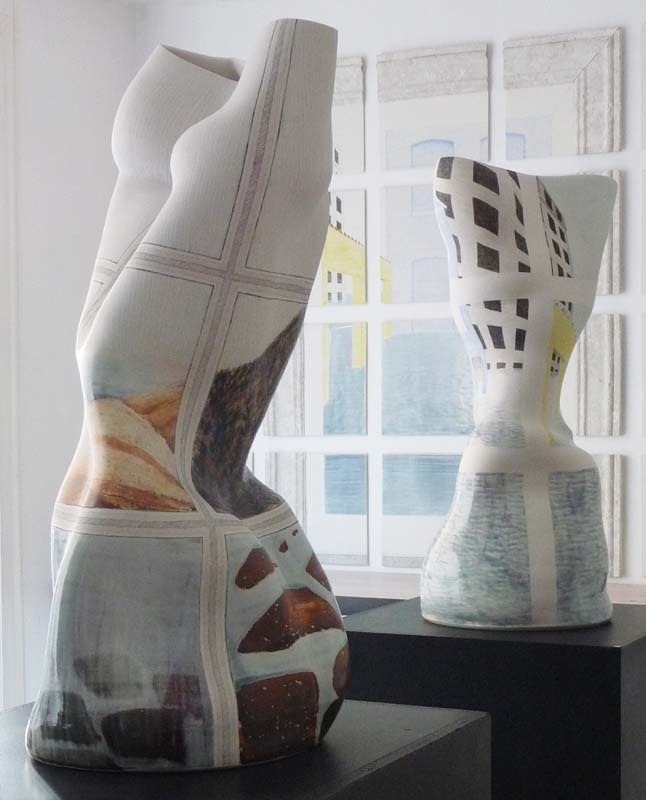 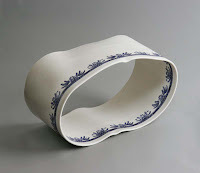 Visual artist Kirsten Justesen challanges ceramic materials. 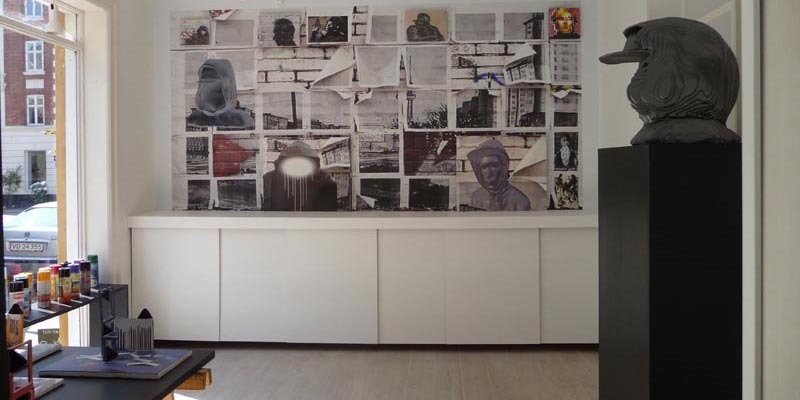 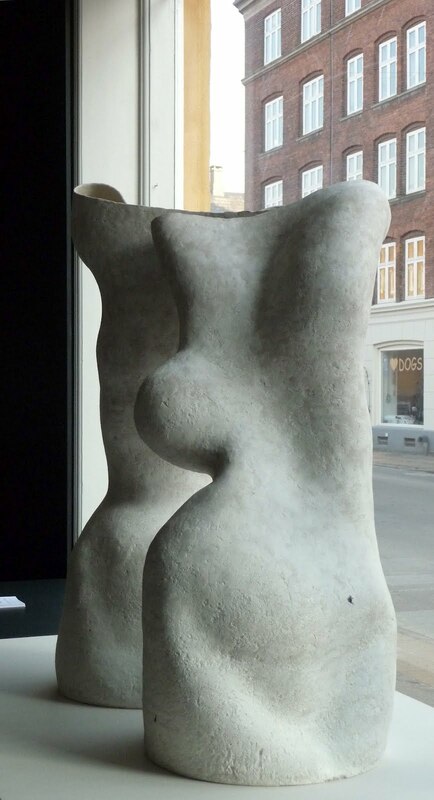 She is one of the most prominent experimental artists in Denmark. 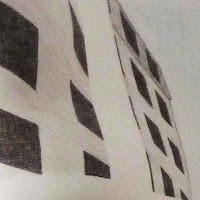 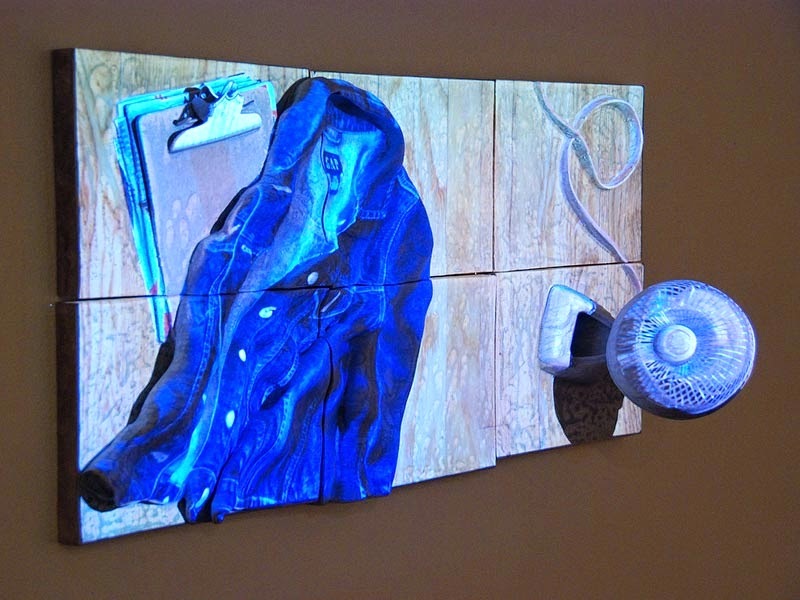 The avant-garde development since the 1960s to present days can be experienced by looking at Kirsten Justesen's works of performance, video, installation.. - and she has remained experimental throughout the time. 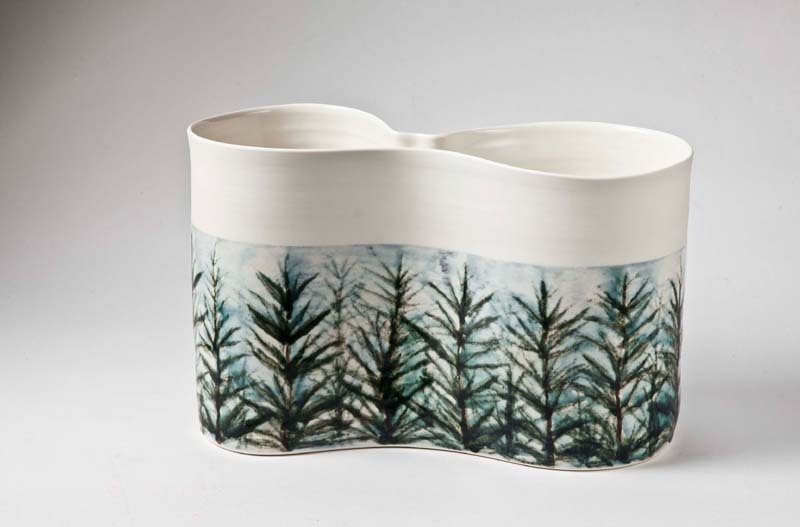 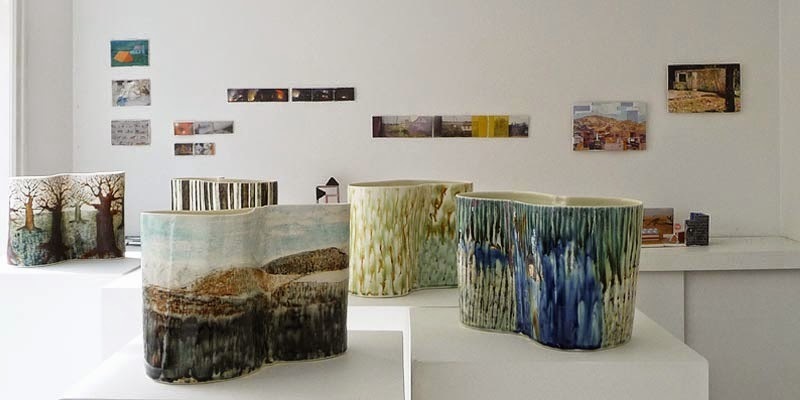 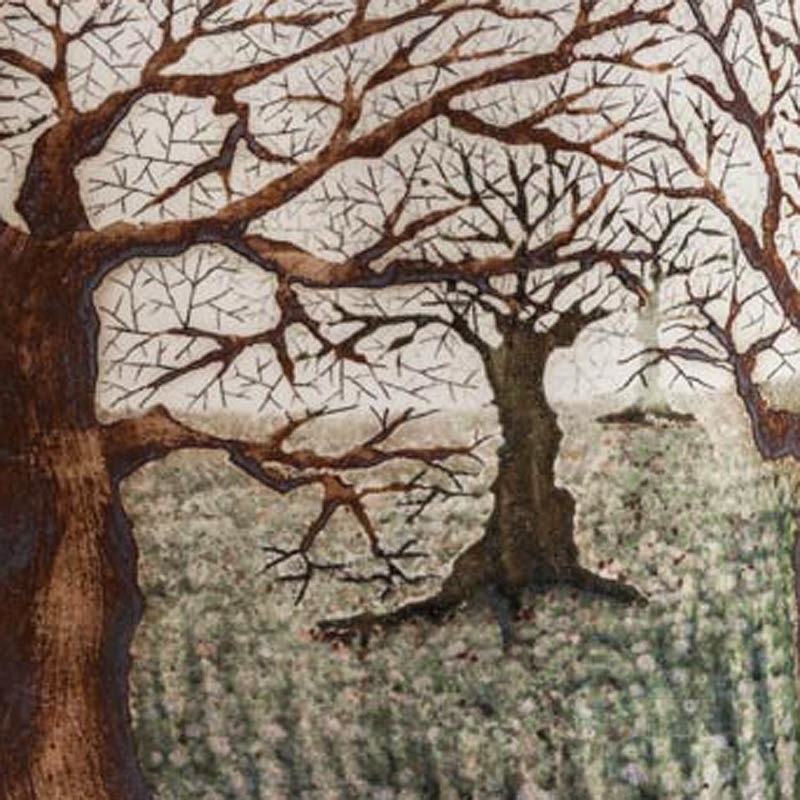 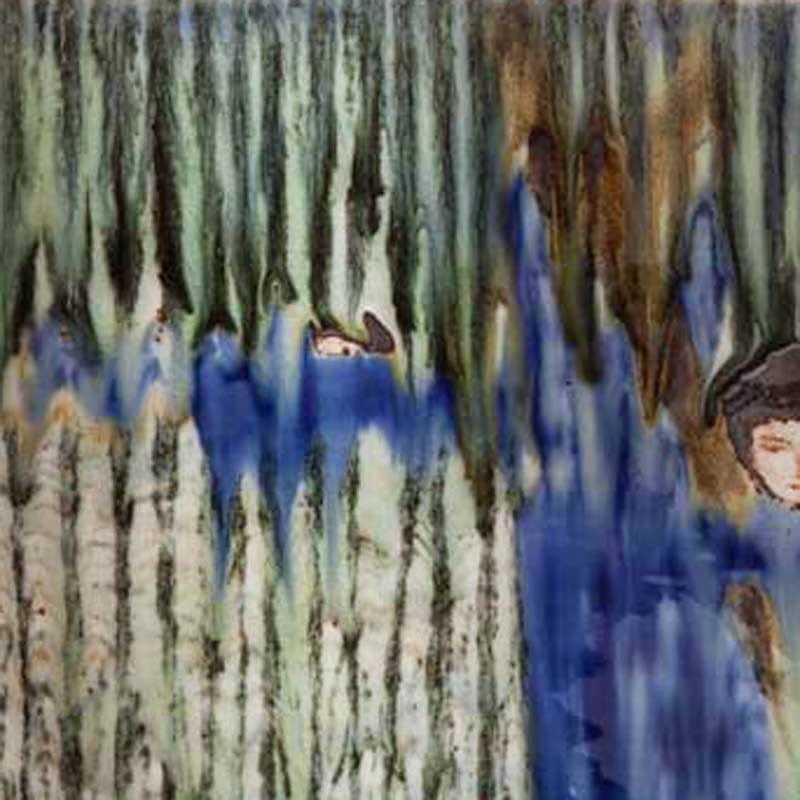 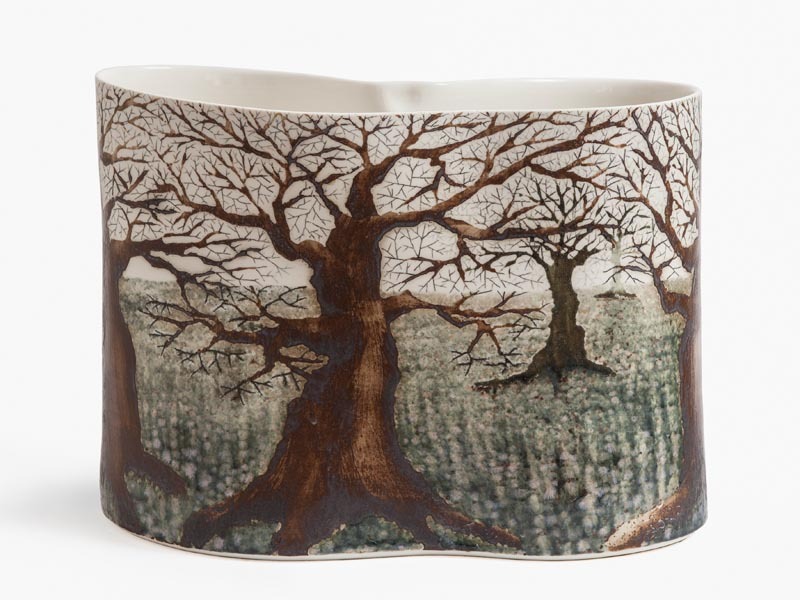 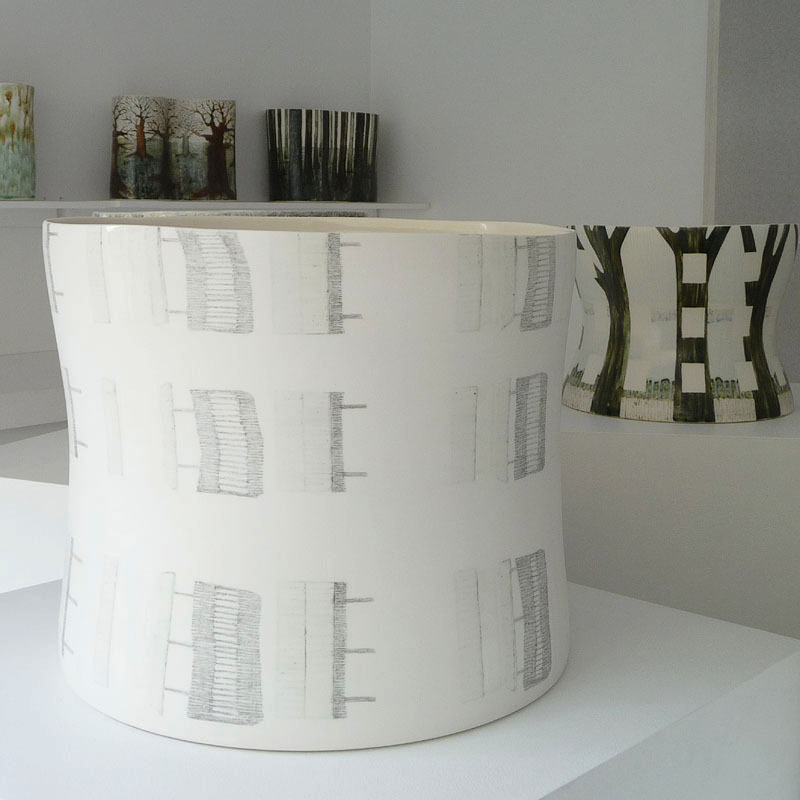 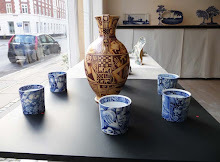 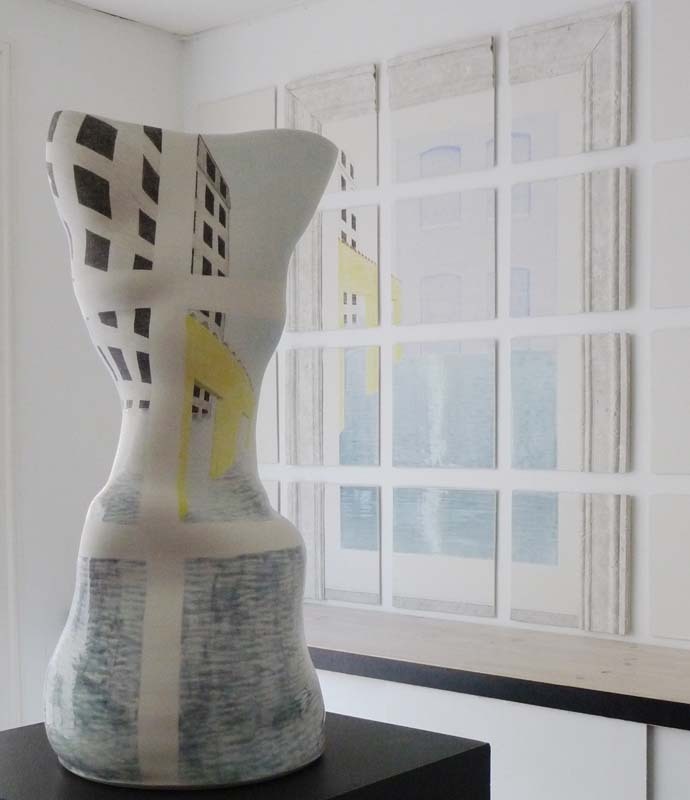 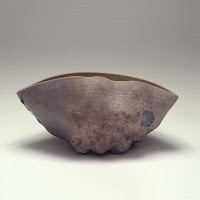 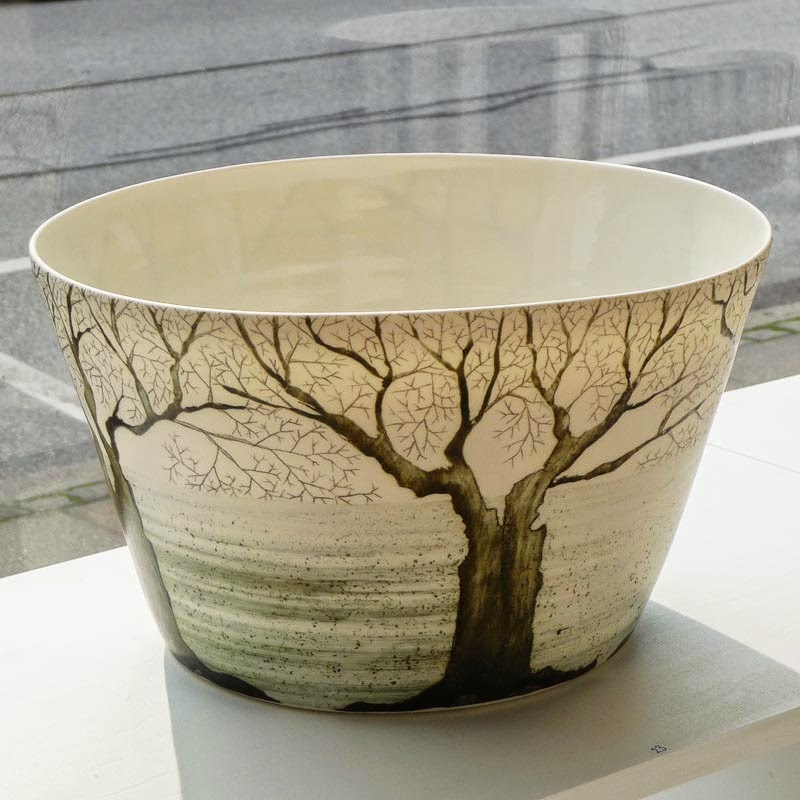 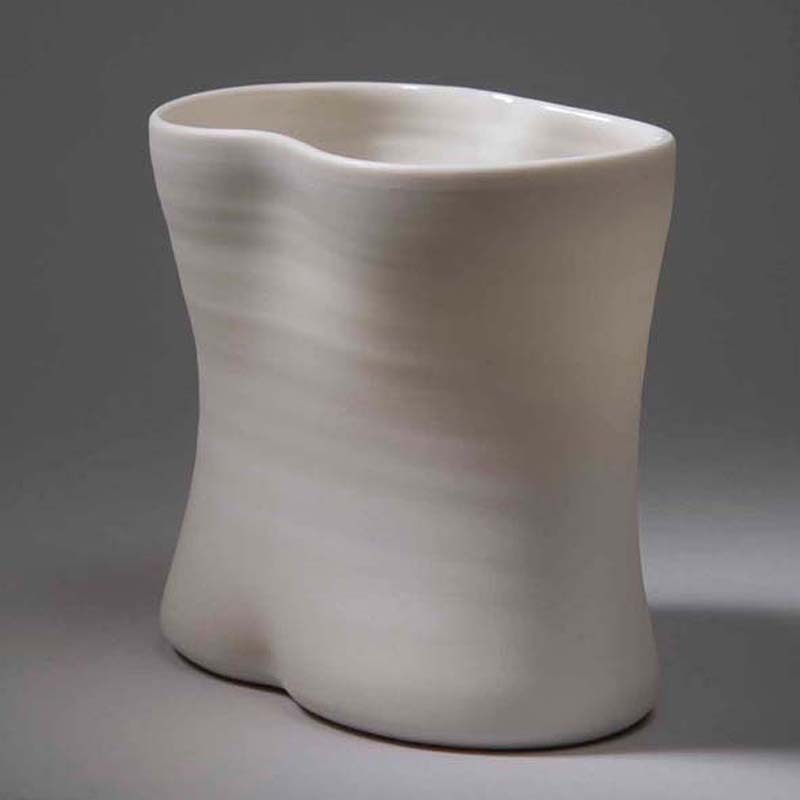 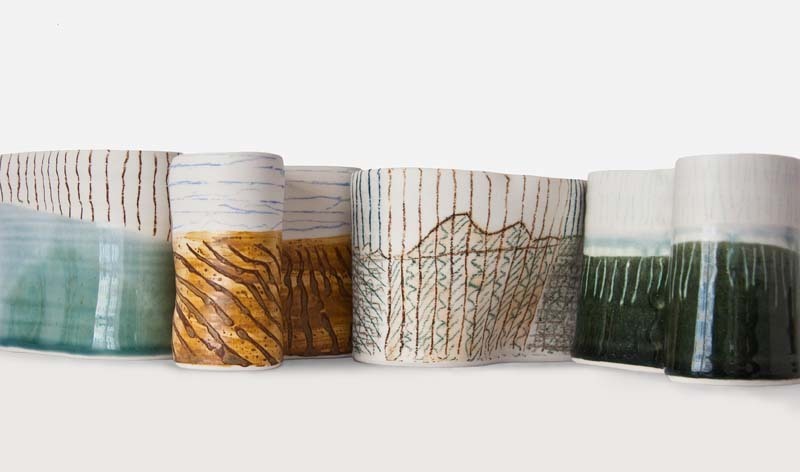 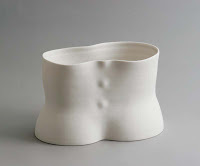 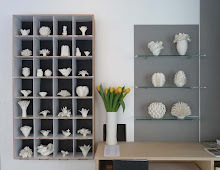 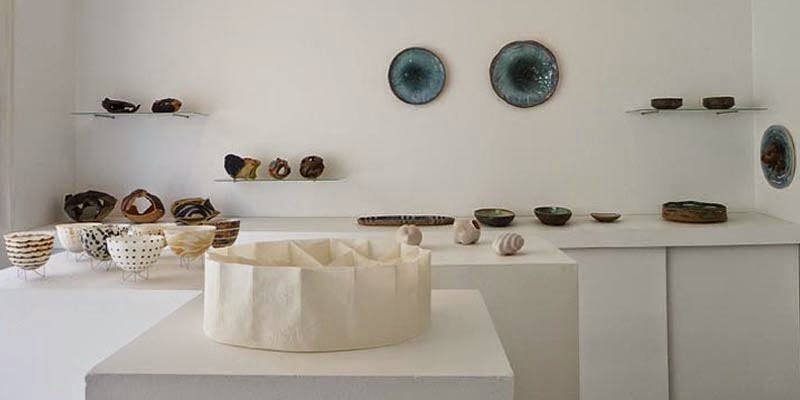 This exhibition displays her newest ceramic work. 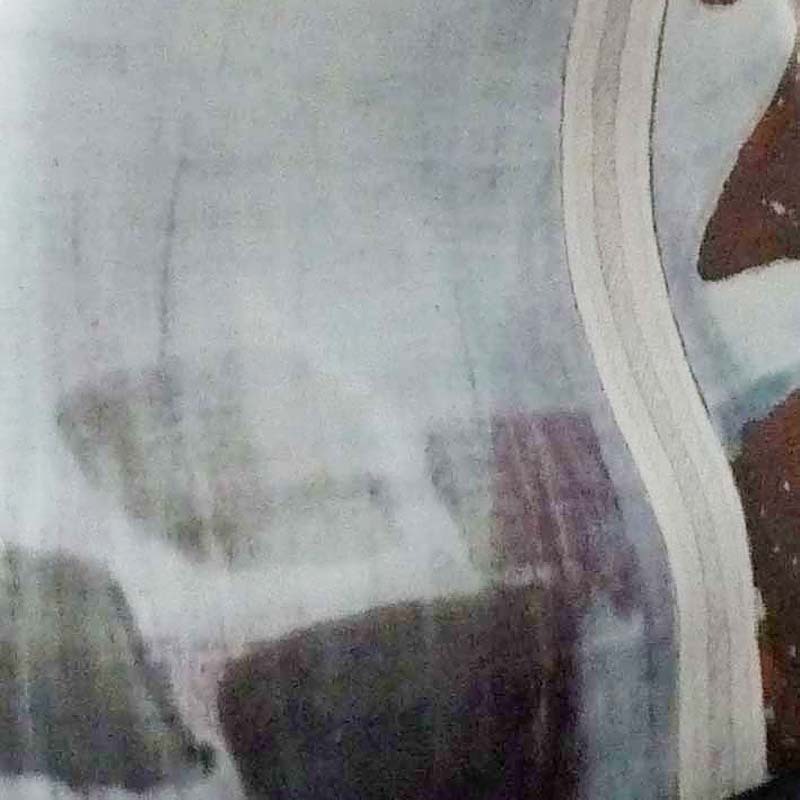 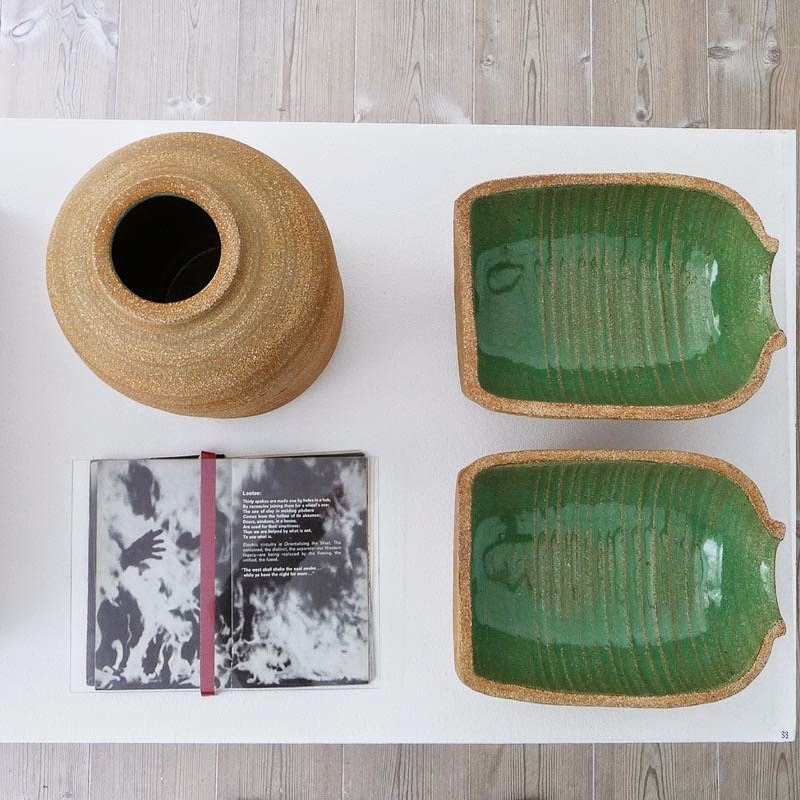 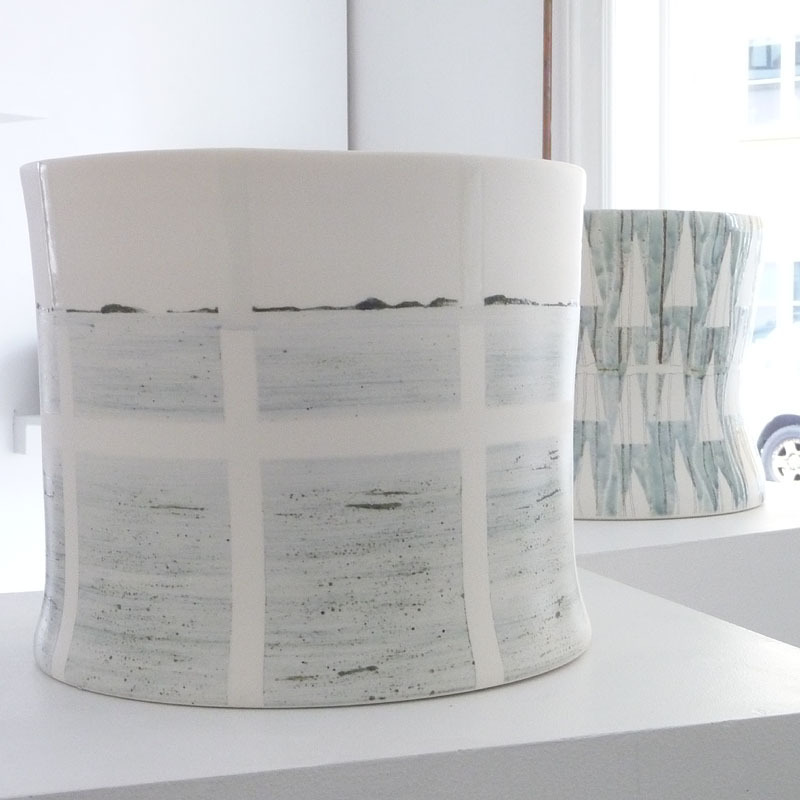 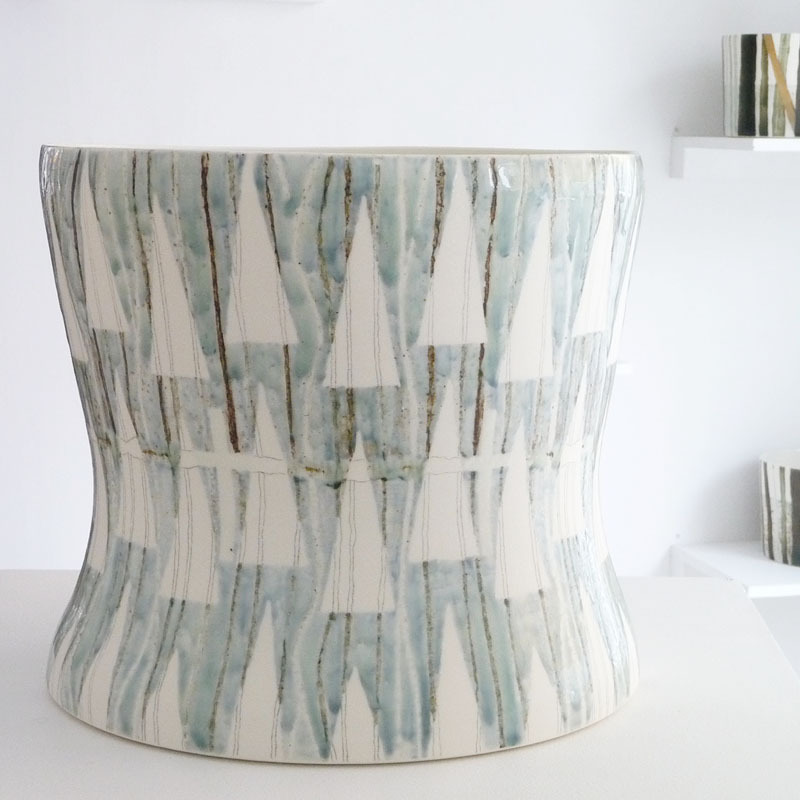 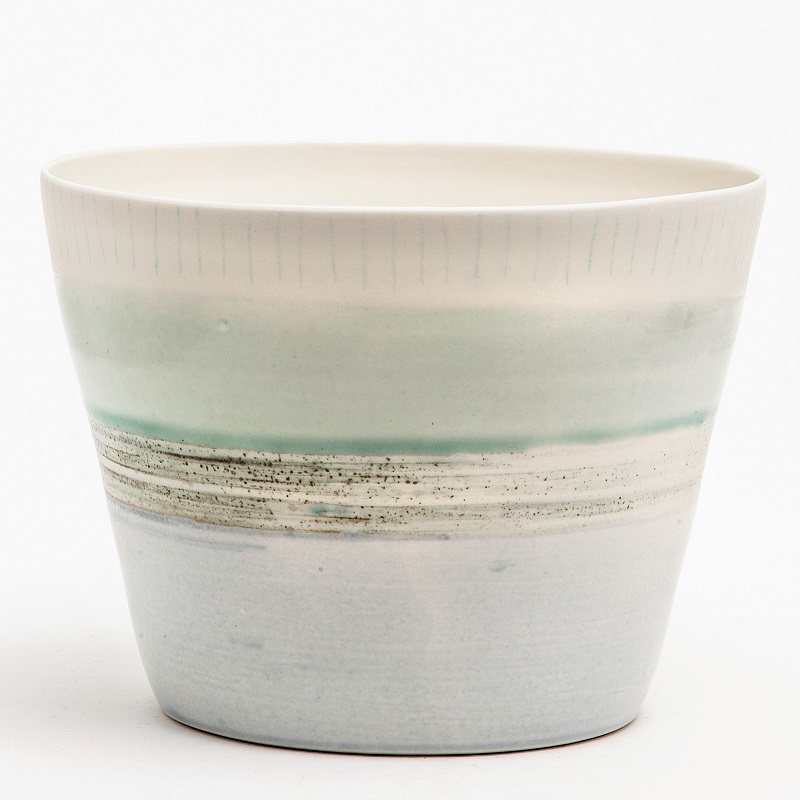 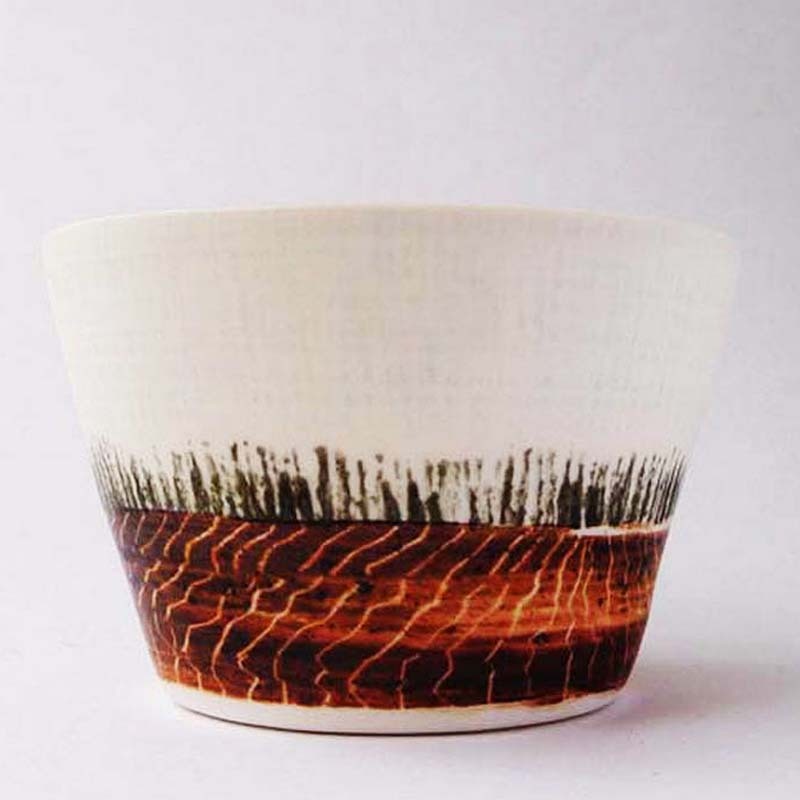 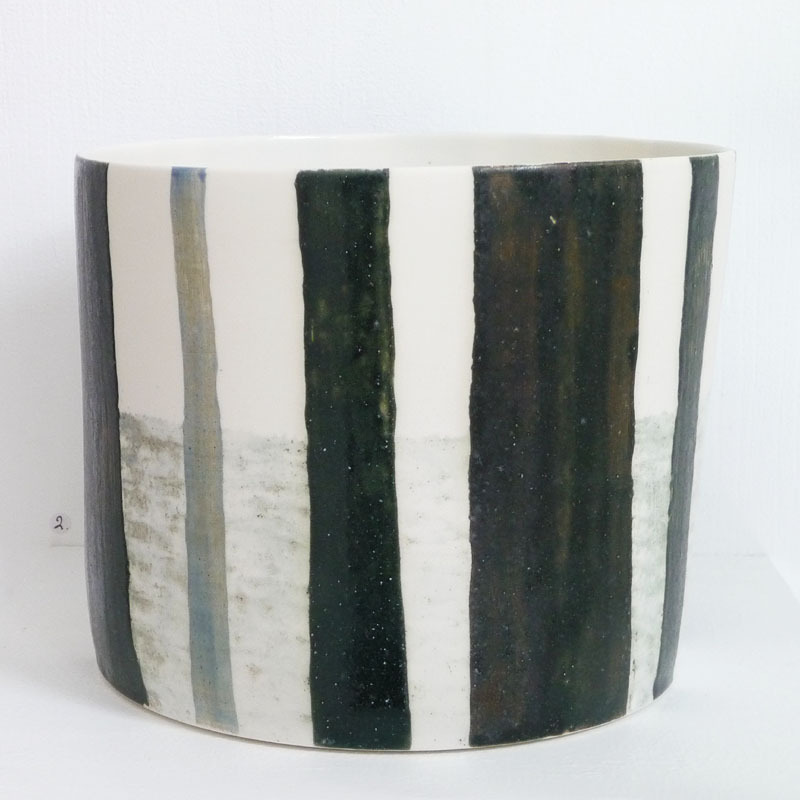 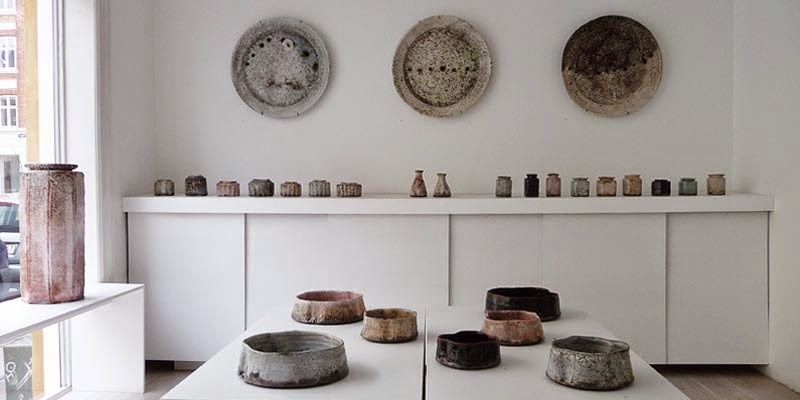 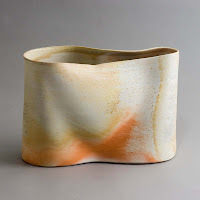 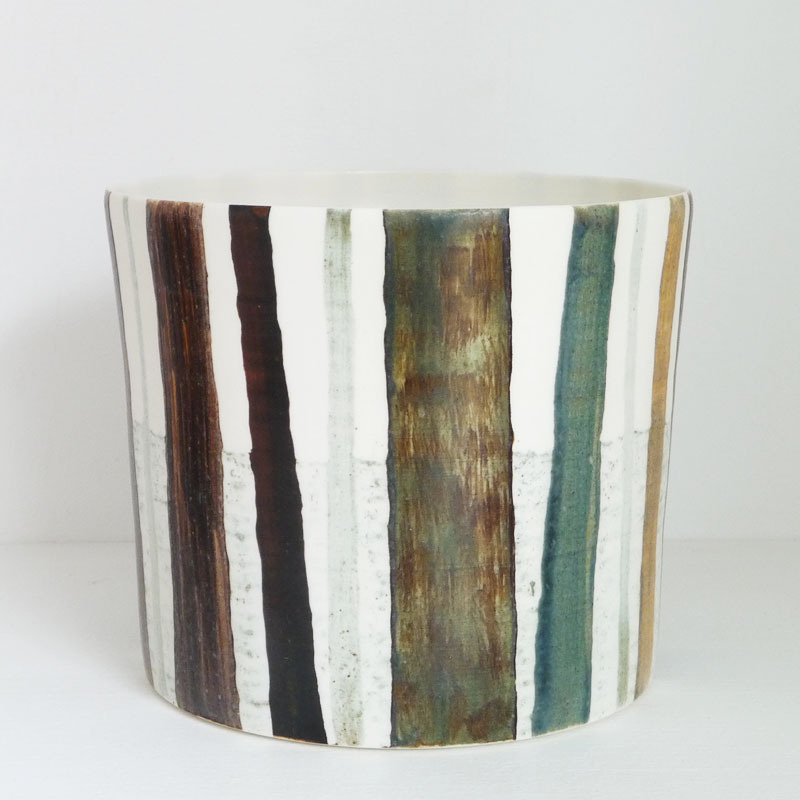 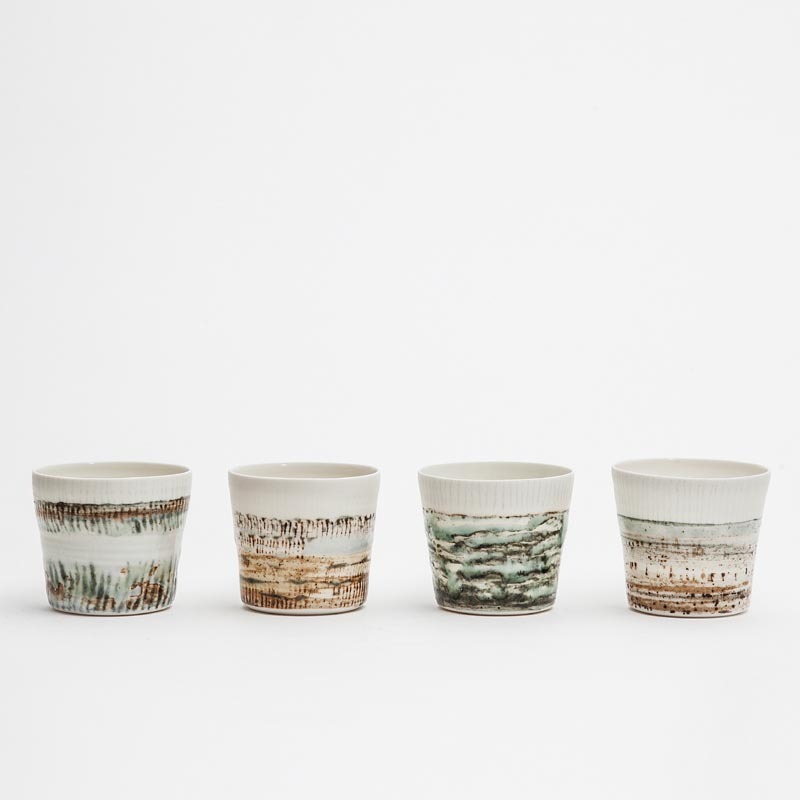 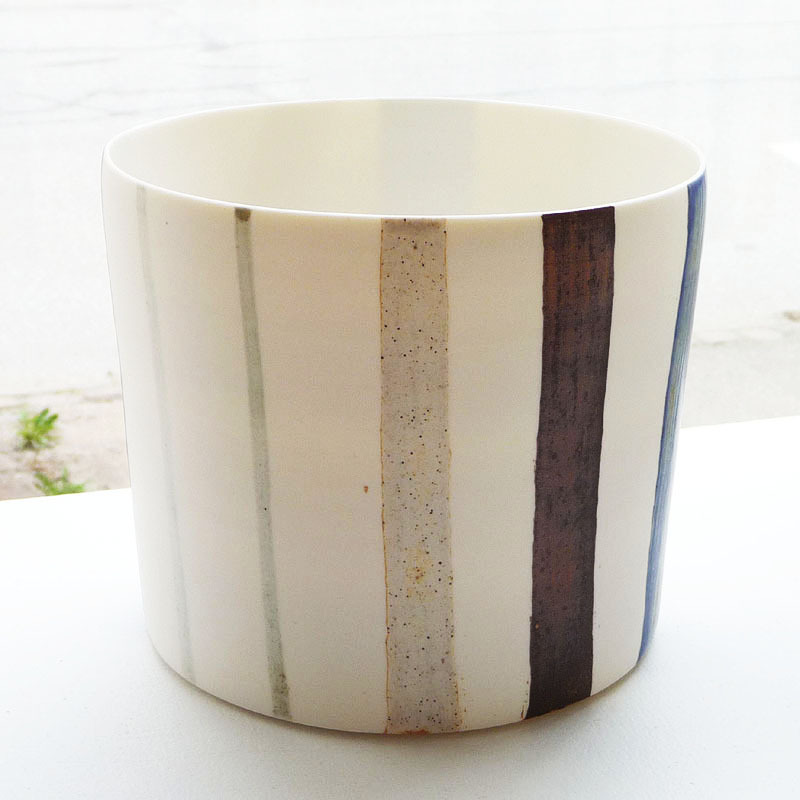 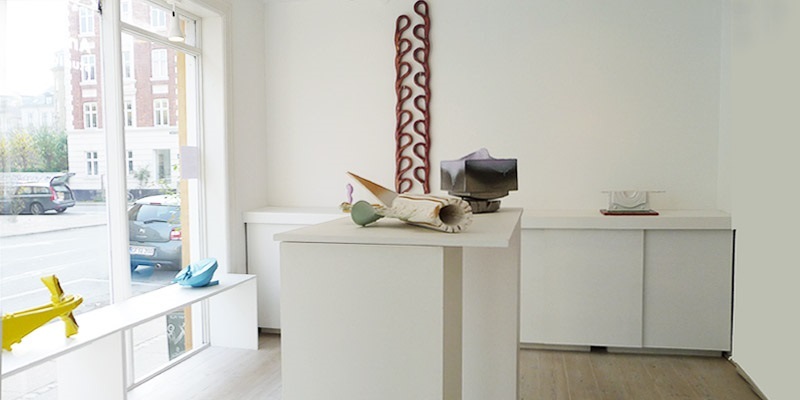 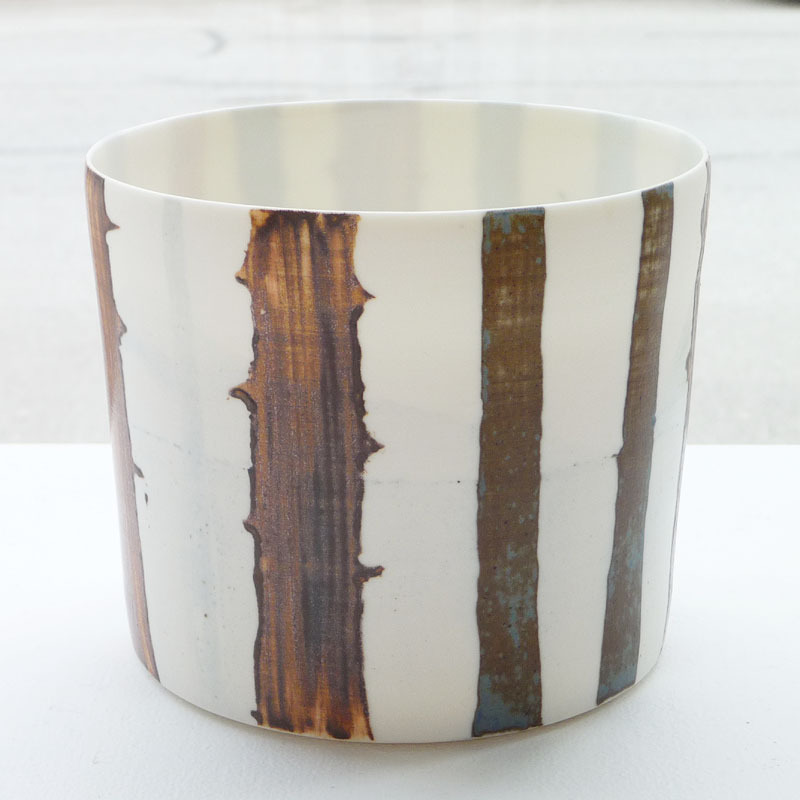 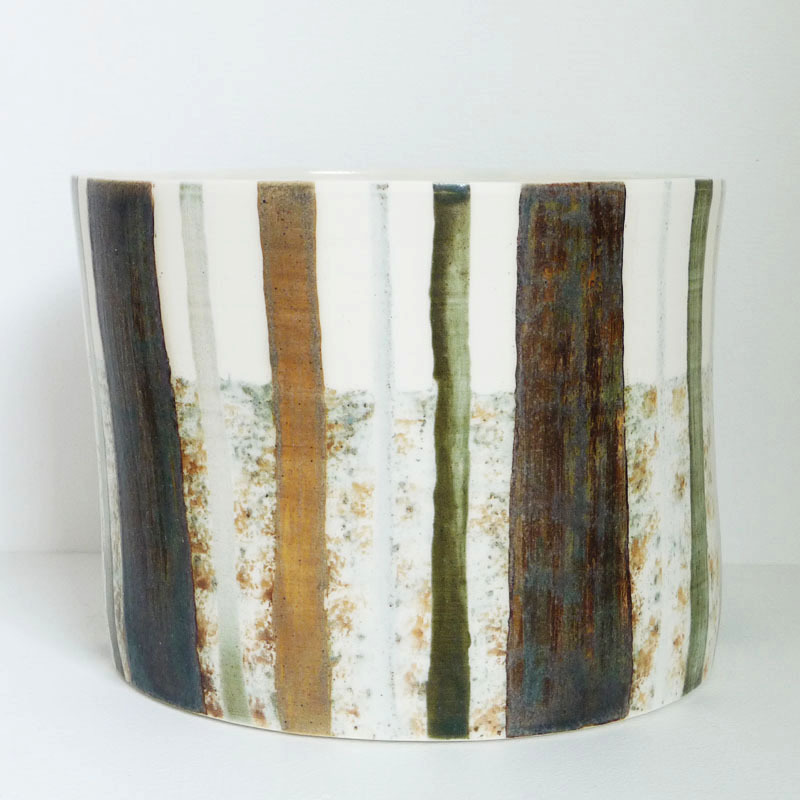 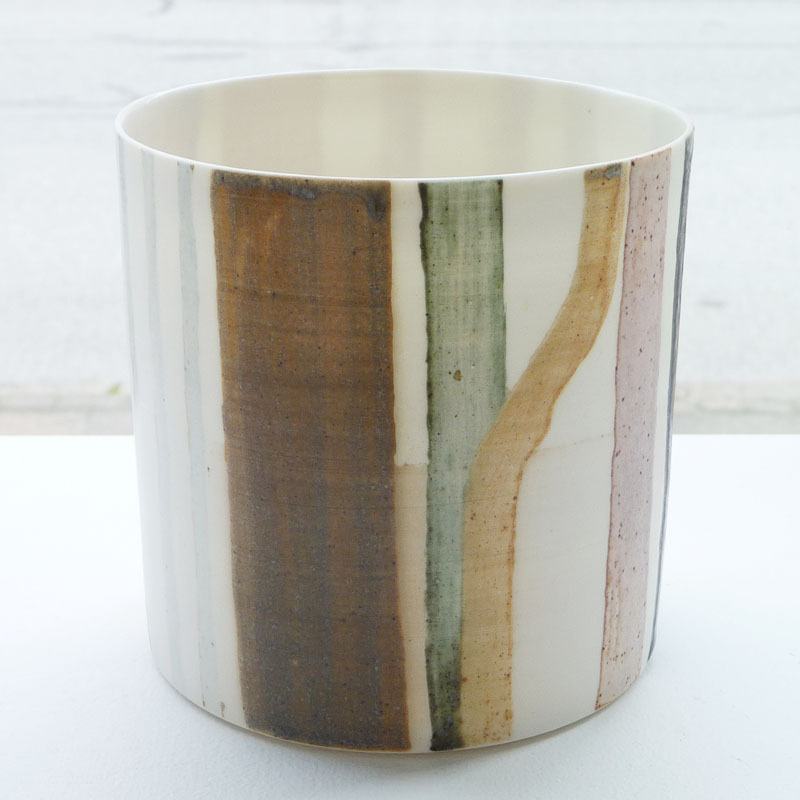 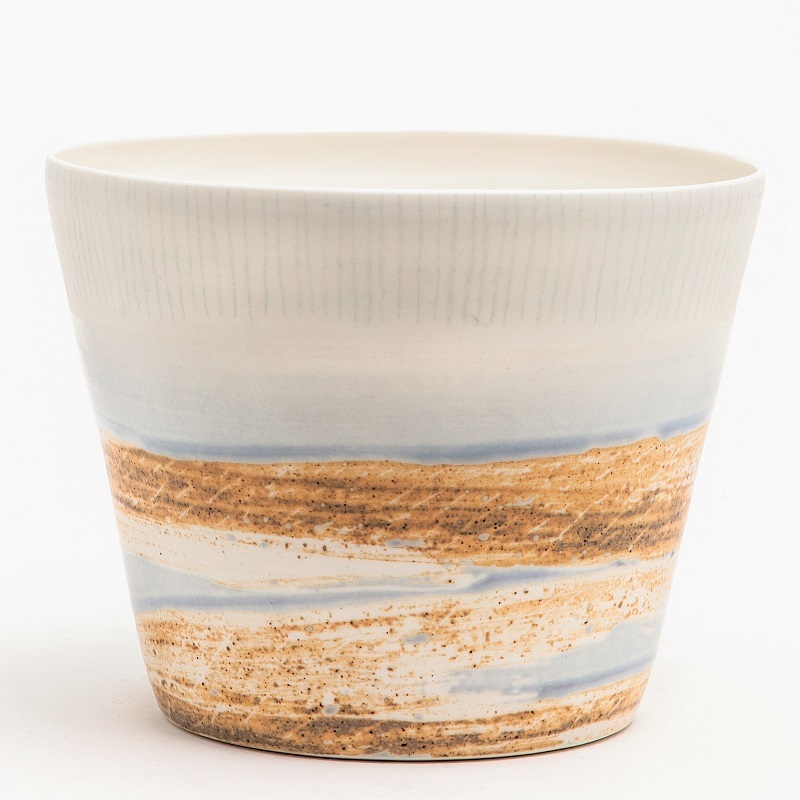 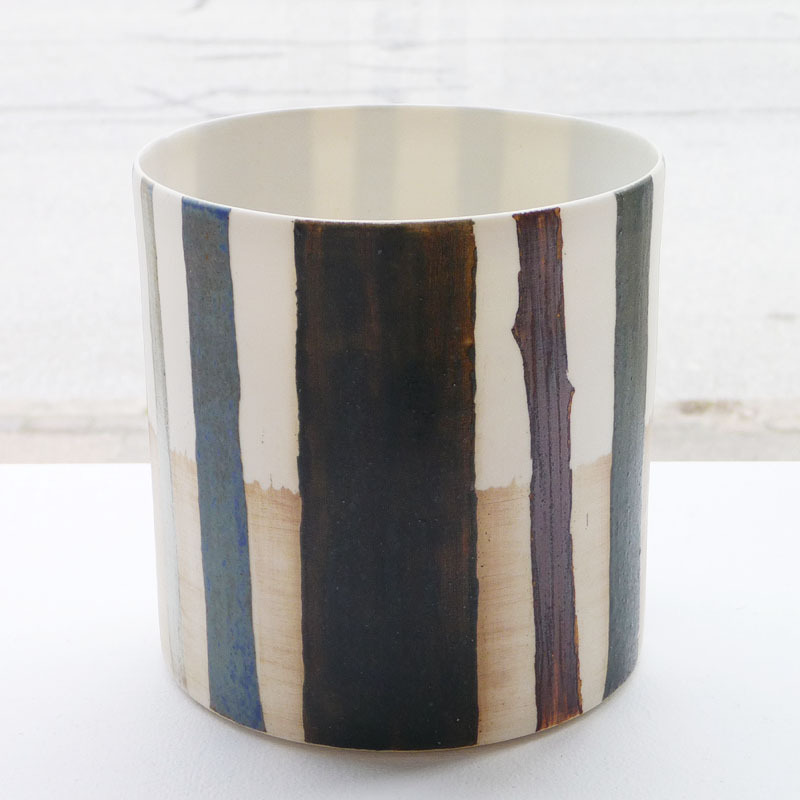 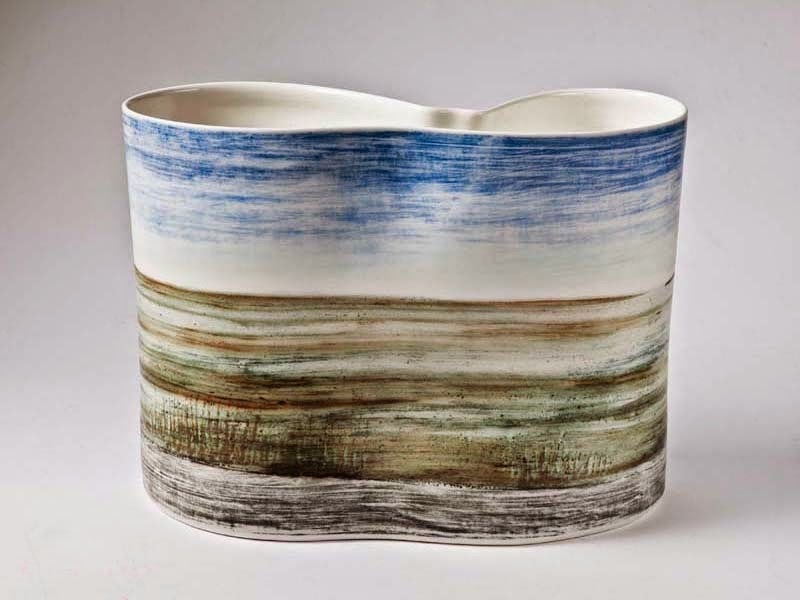 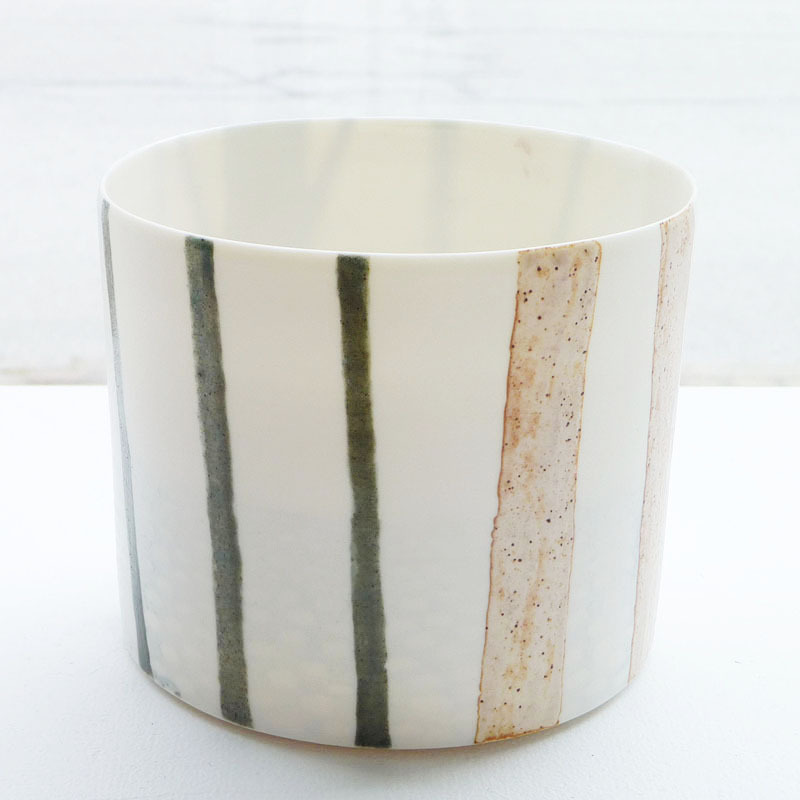 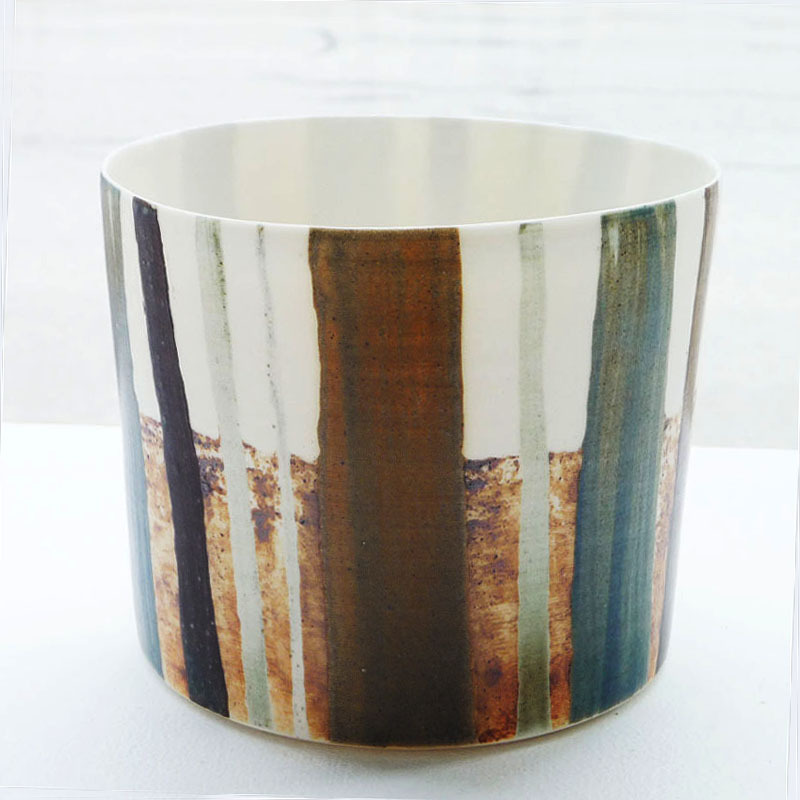 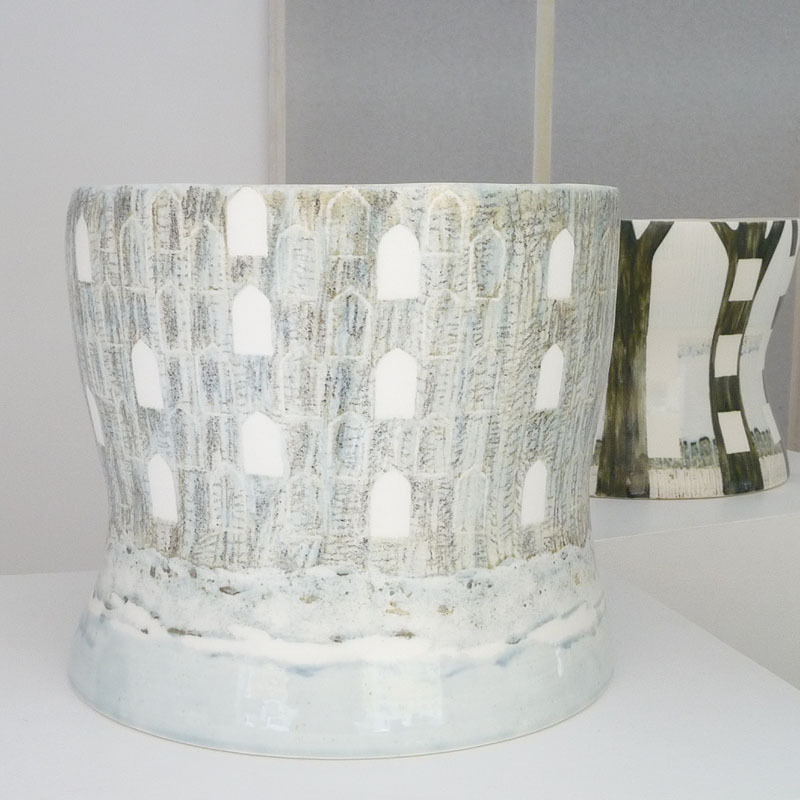 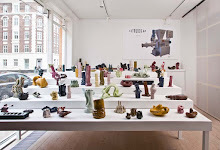 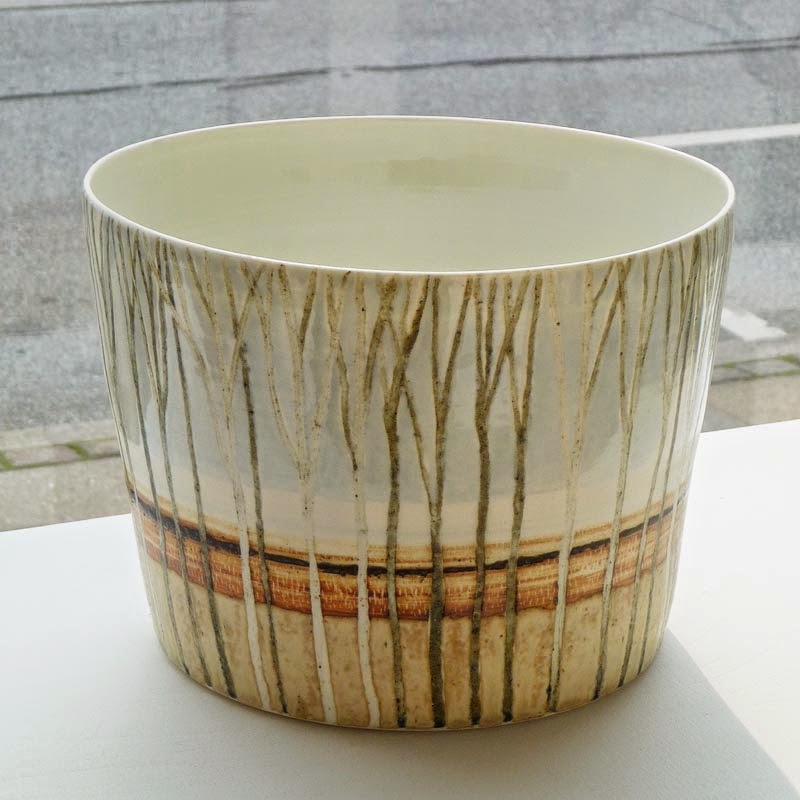 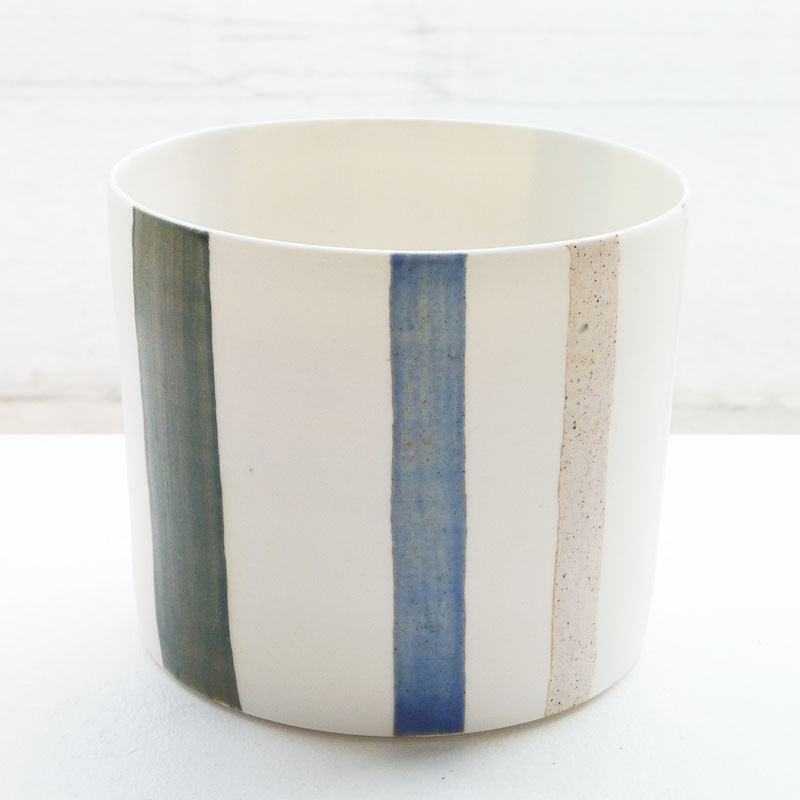 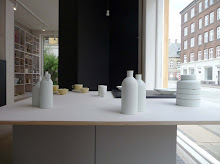 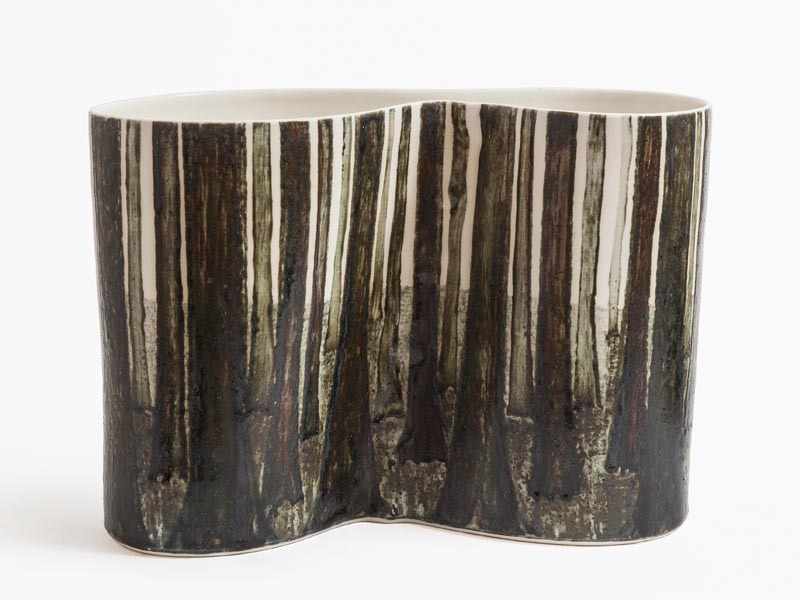 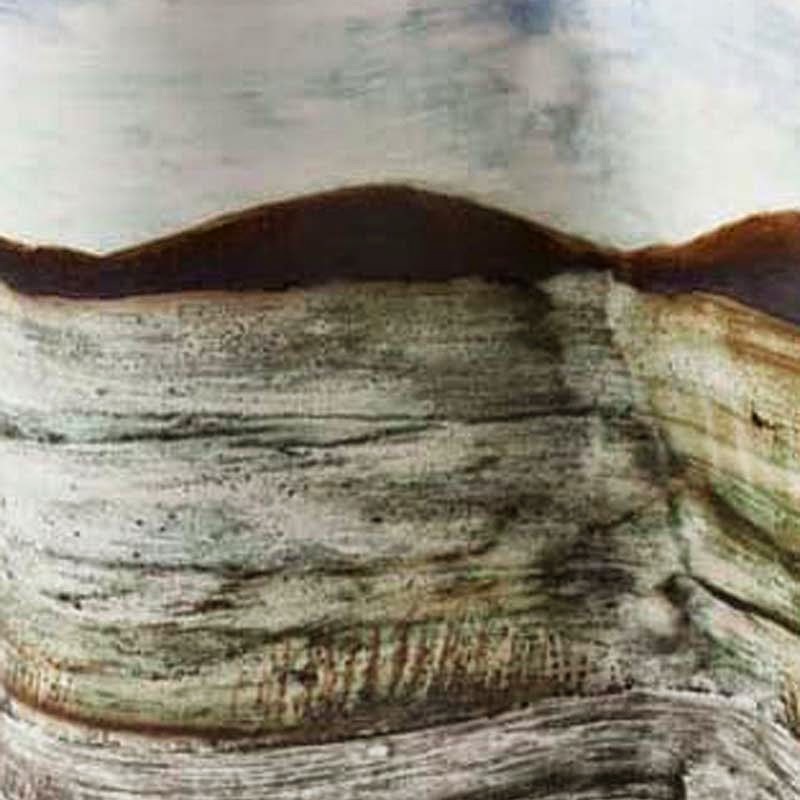 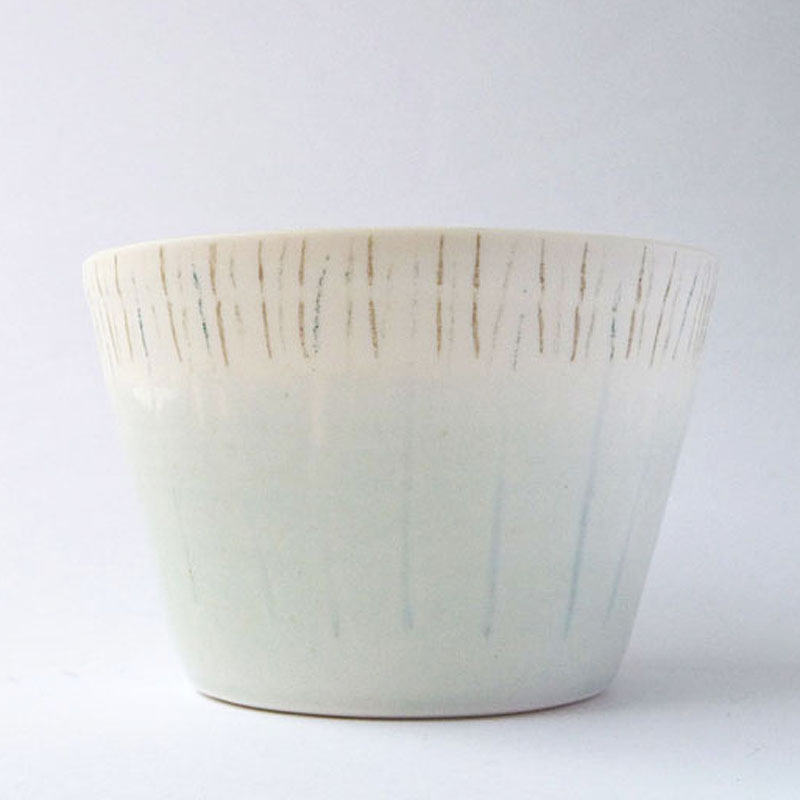 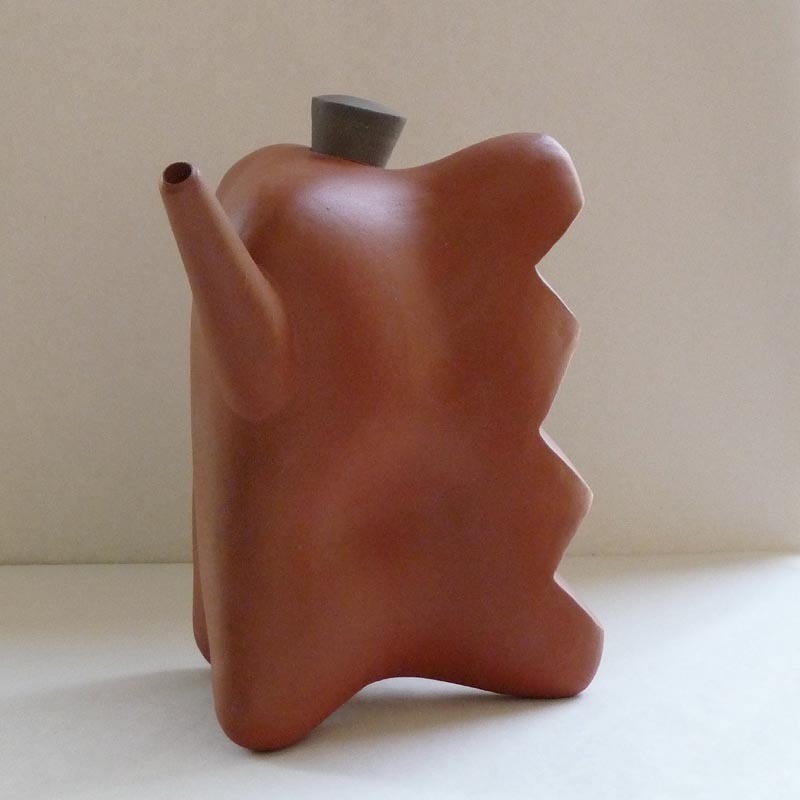 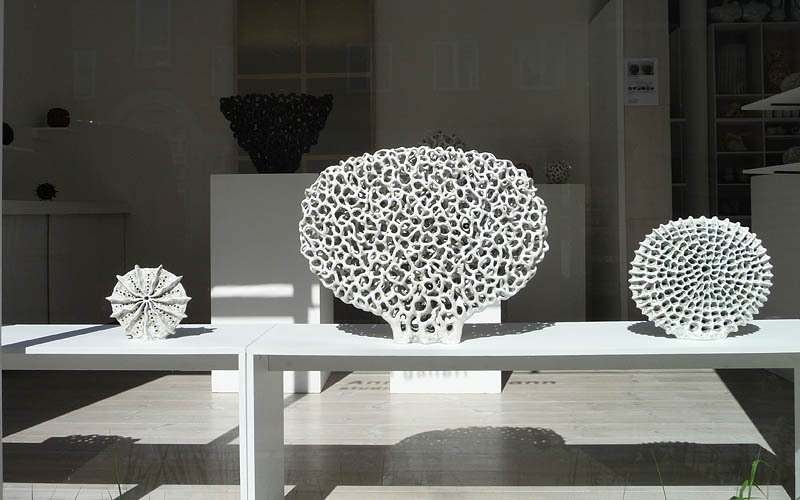 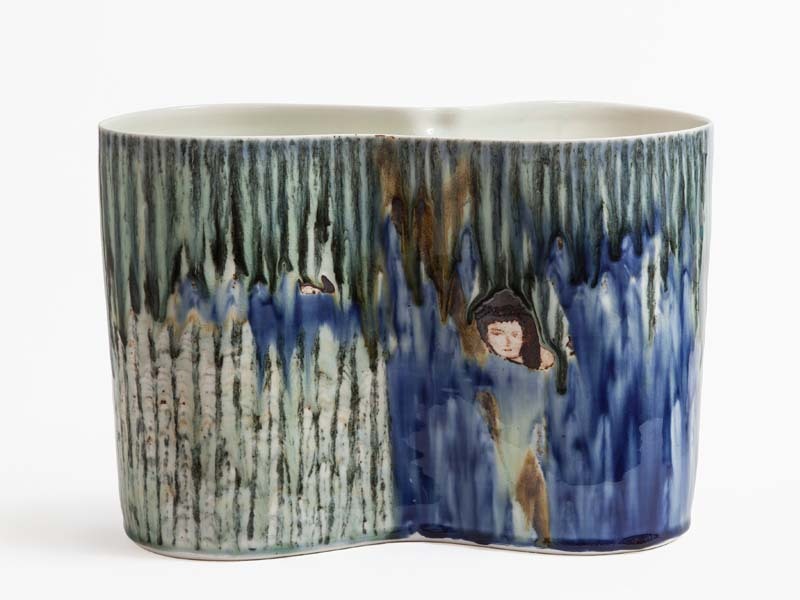 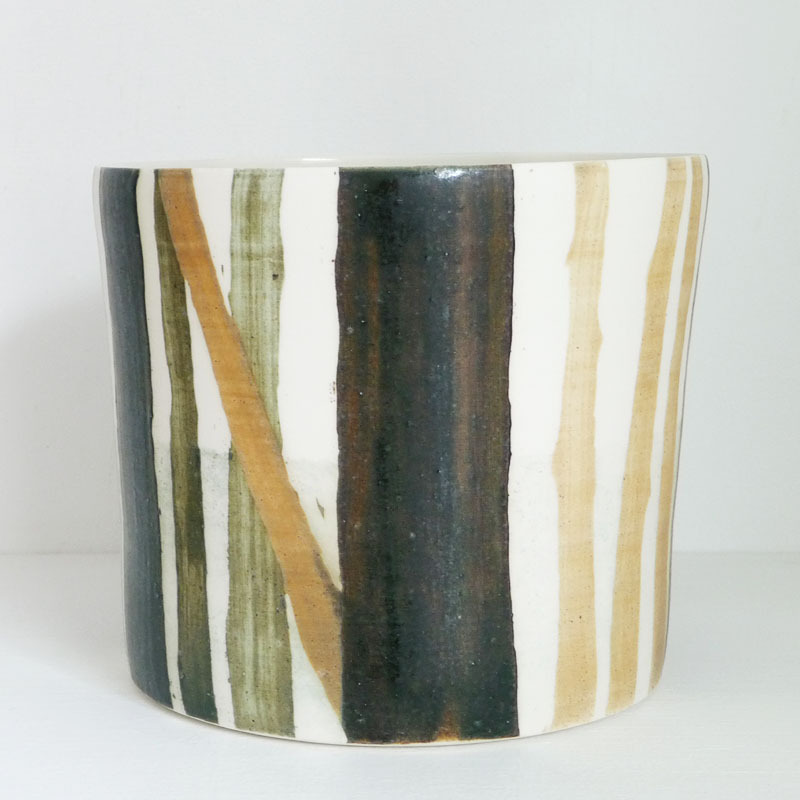 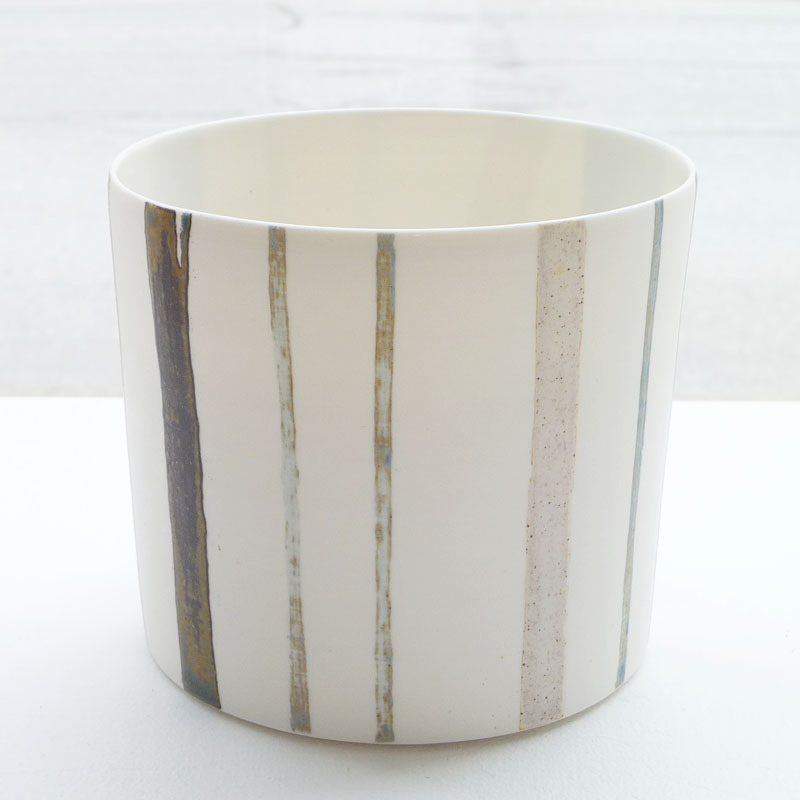 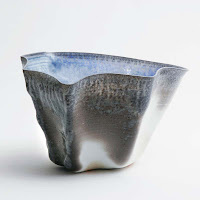 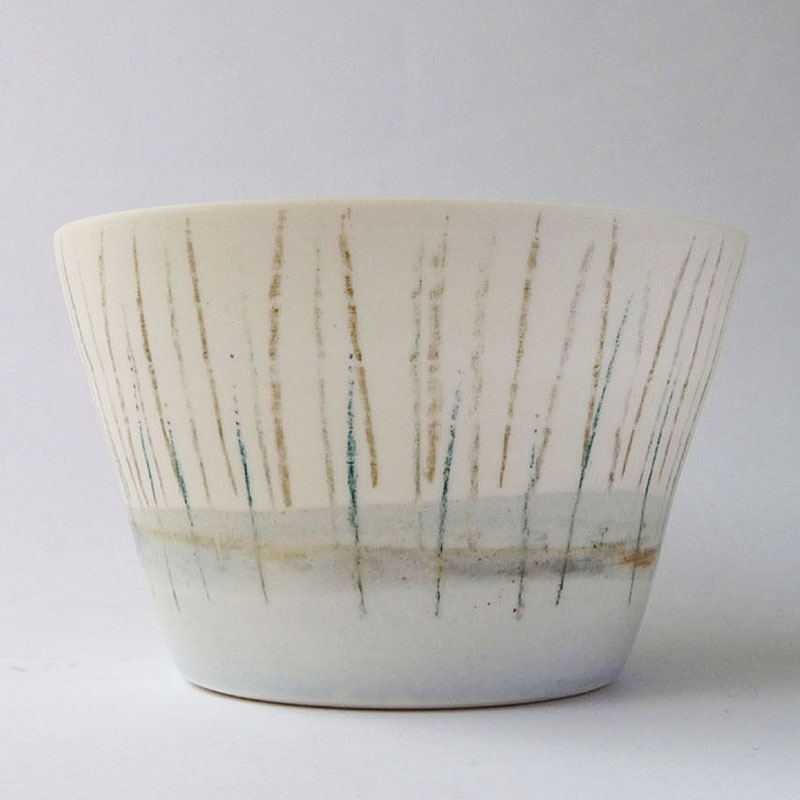 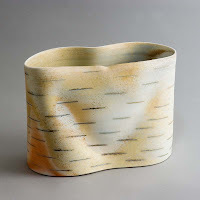 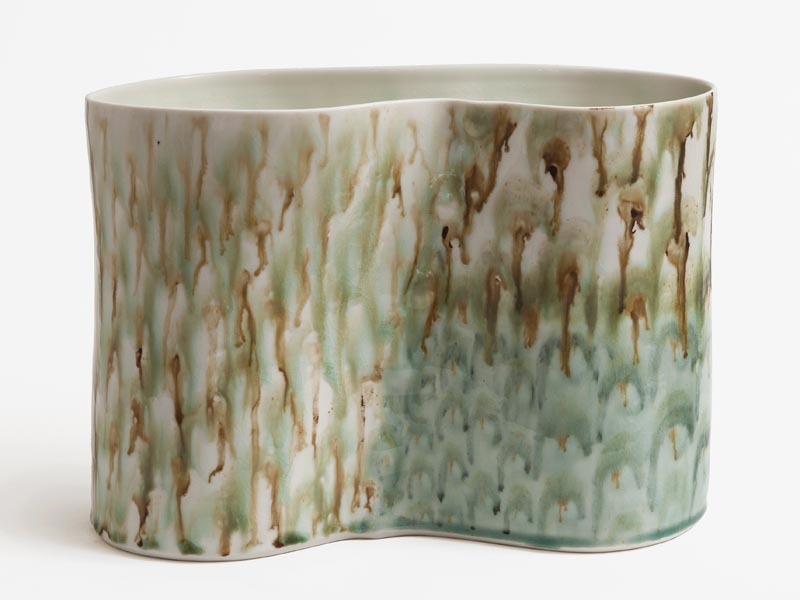 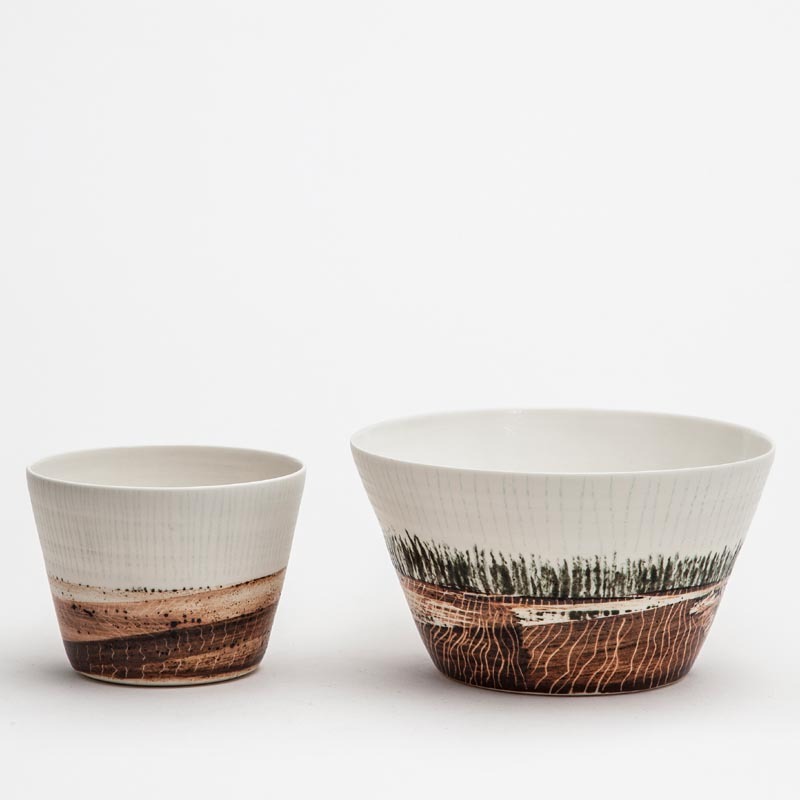 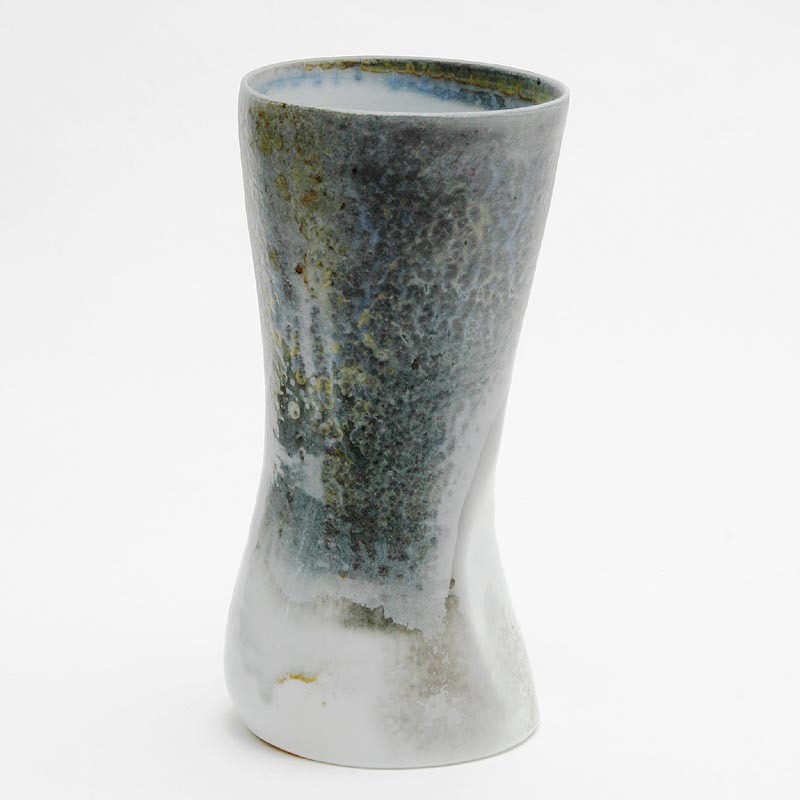 Per Ahlmann is a Danish acknowledged ceramic artist completely inherent with his material. 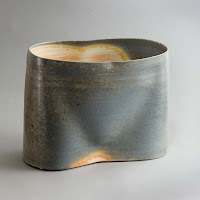 The form, content, glaze and colour can not be imagined one without the other. 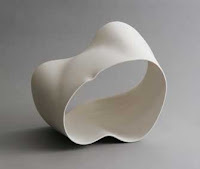 The form variations are infinite, often reference the unreal. 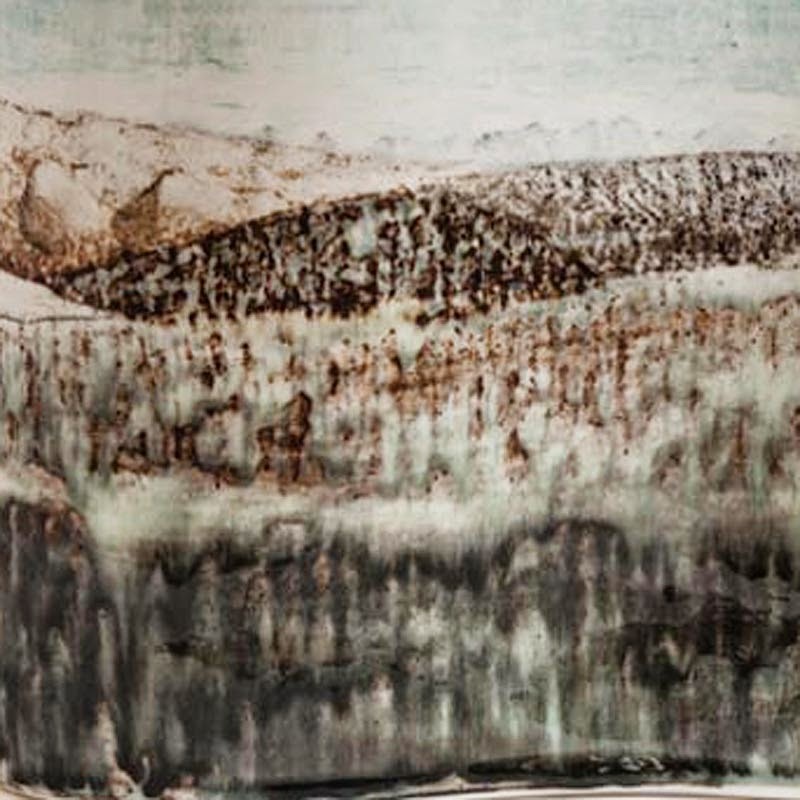 Bodily and other nature-like elements juxtapose with industrial intrusion. 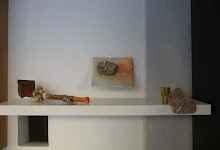 Video projections and ceramic works. 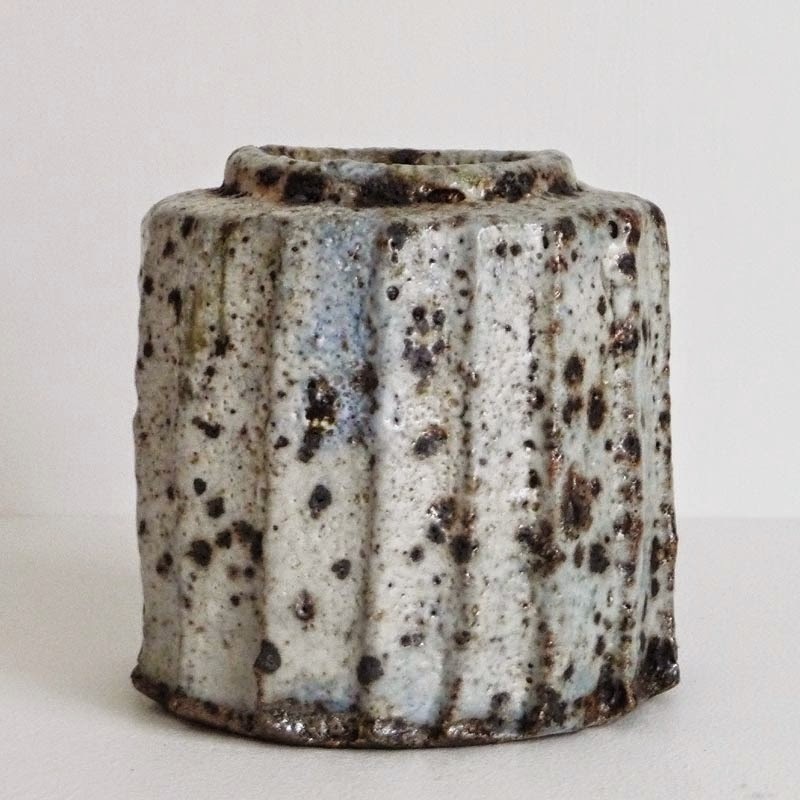 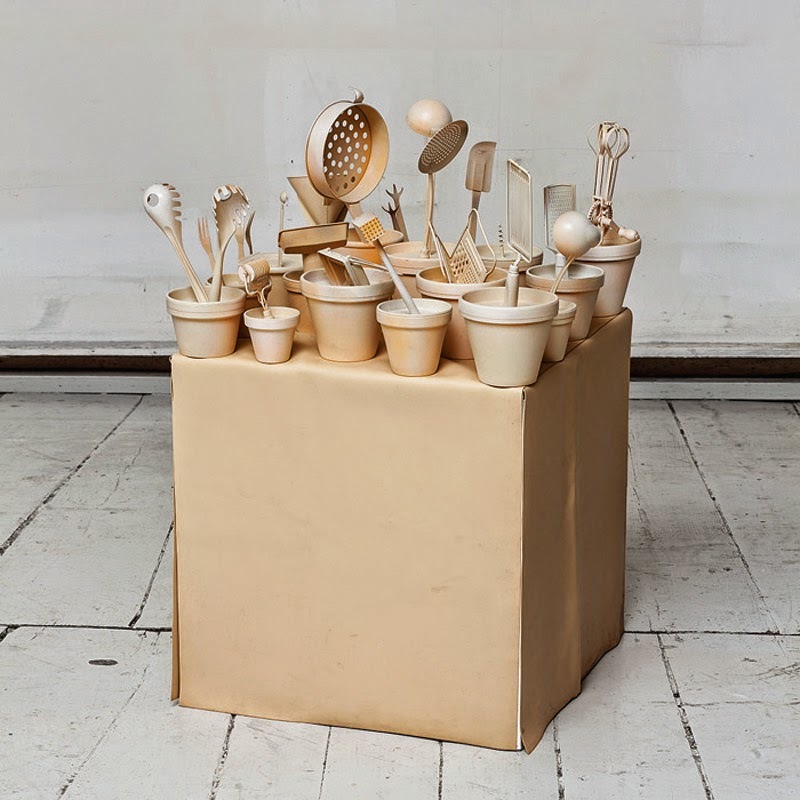 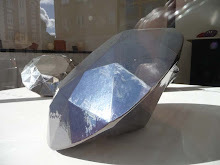 The abstract and textural qualities between projection and clay, pieces with a strong sense of materiality, scenery or small set-ups based on the actual items as for groups of objects from everyday life - a box of light bulbs, a drawer of silverware etc. 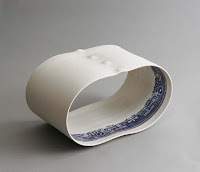 The videos are collages of stills and motion pictures that depict things and phenomena associated with the ceramic pieces. 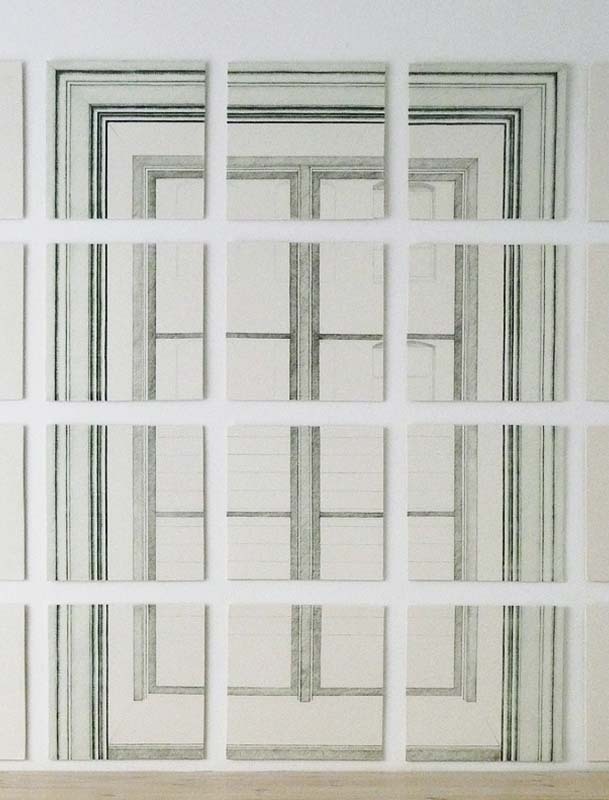 Photos - with/without projection. 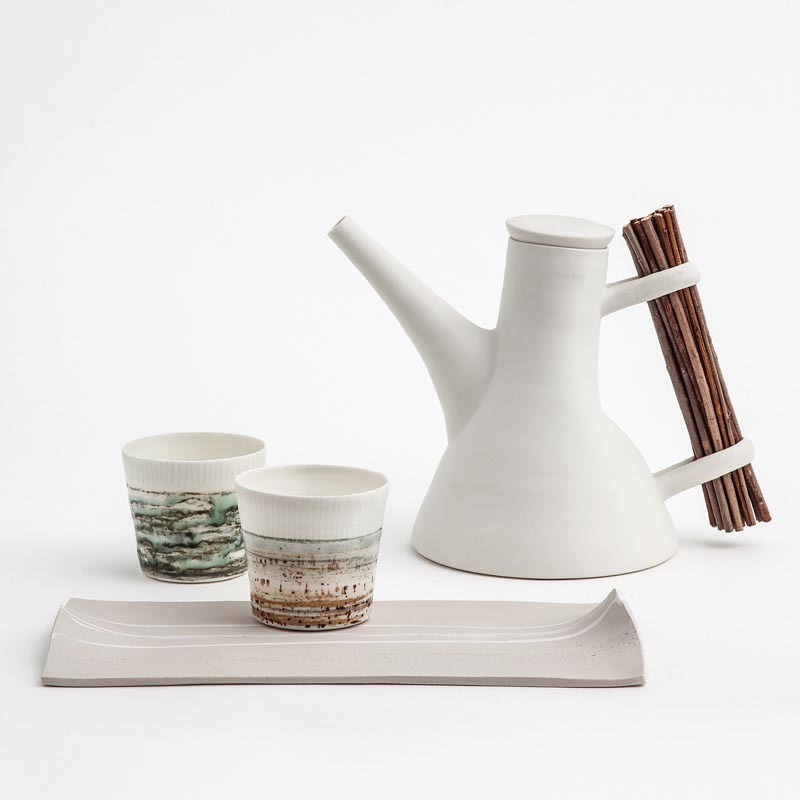 Ceramic designer shows unique functional pieces. 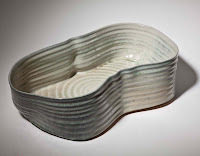 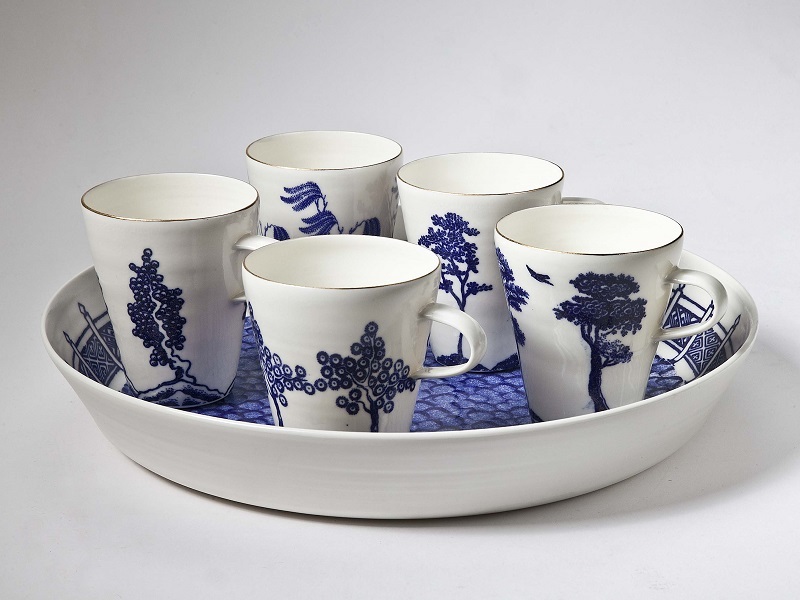 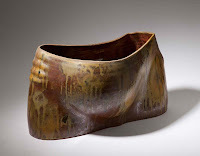 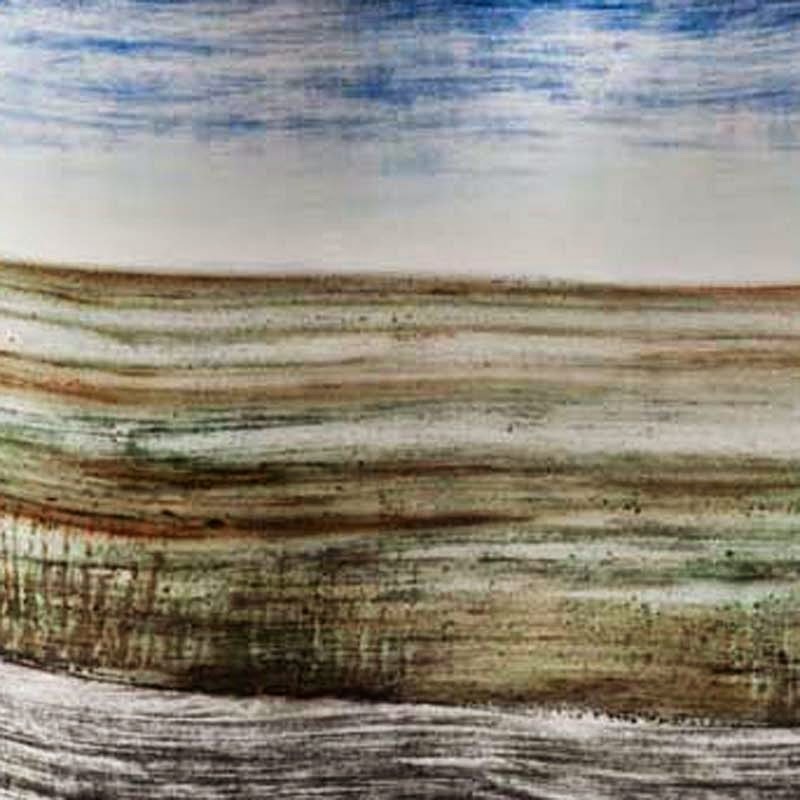 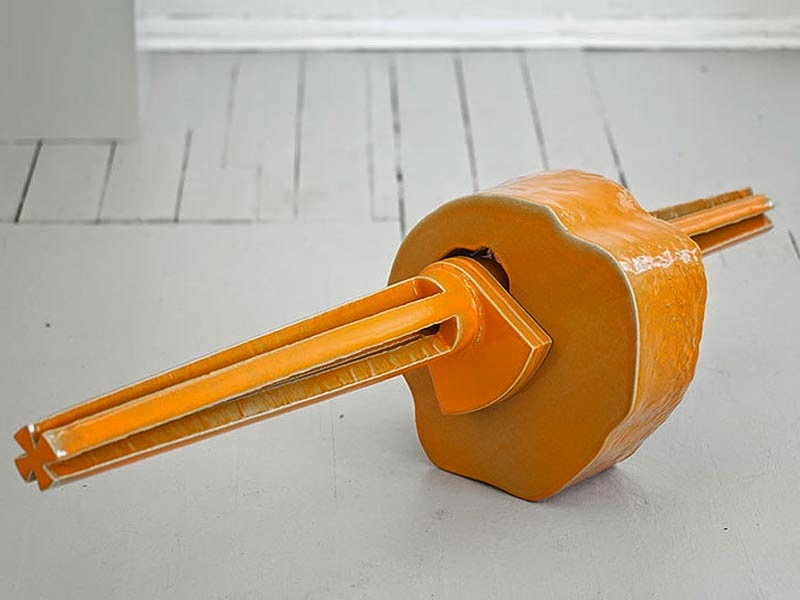 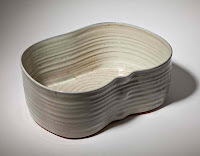 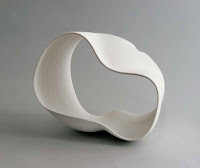 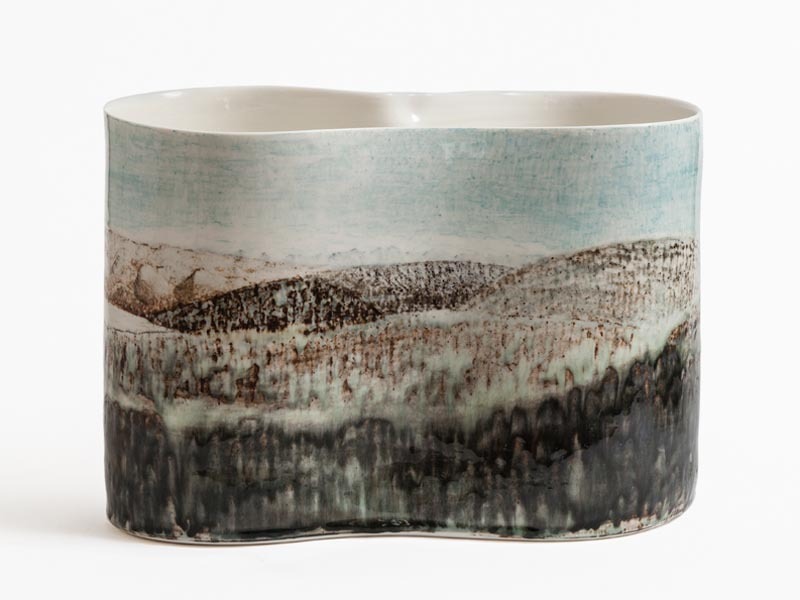 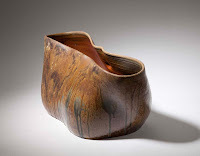 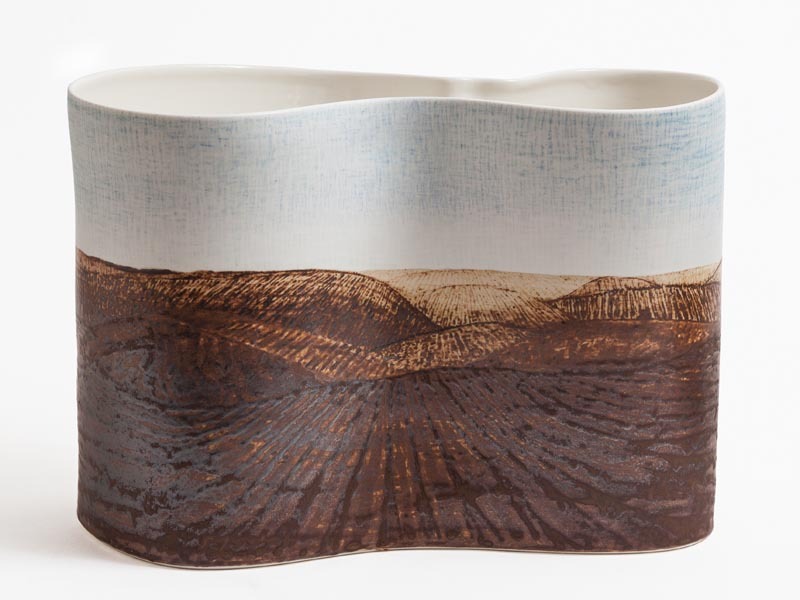 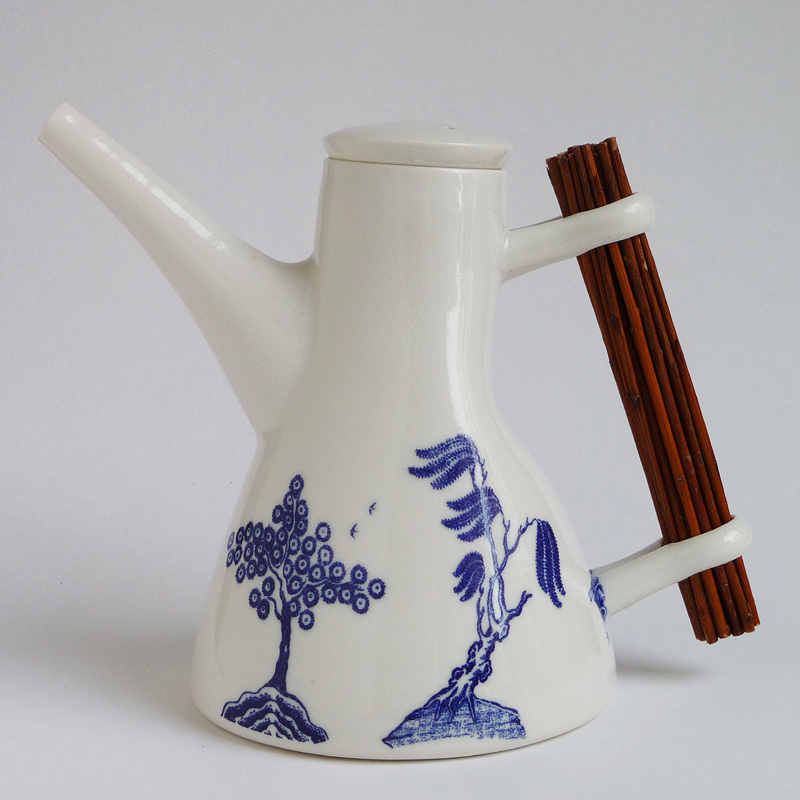 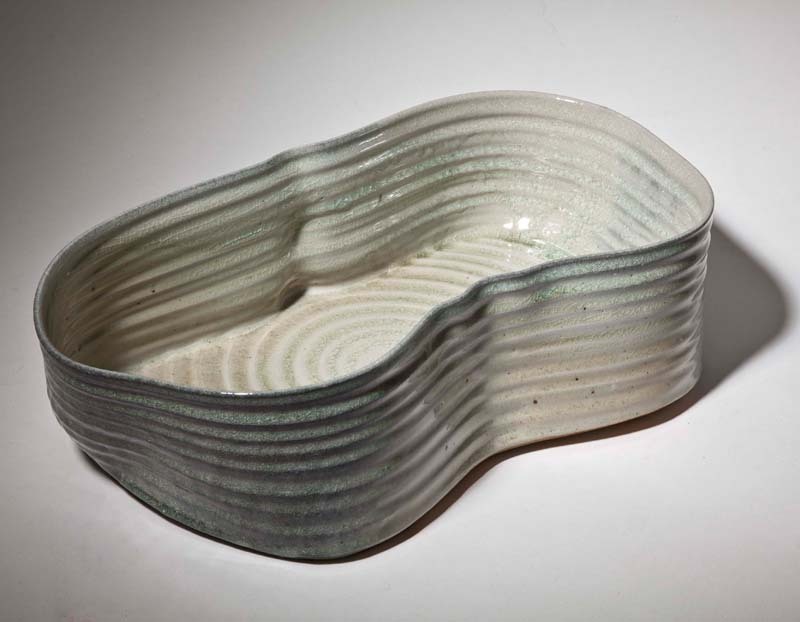 Ursula Munch-Petersen is internationally recognized for her eminent industrial functional ware. 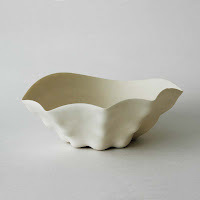 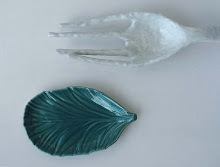 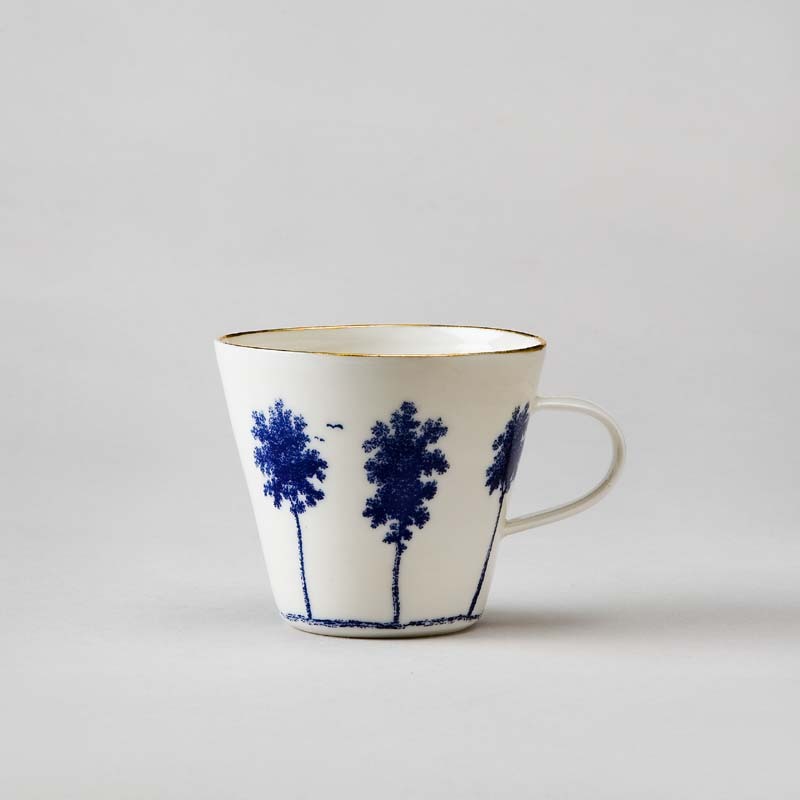 Her beautiful crafted pieces became a fine industrial design product (made for Royal Copenhagen Factory), that seems like craft: Ursula-ware - dishes, cups, pitchers, plates in bright colours and distinctive shapes. 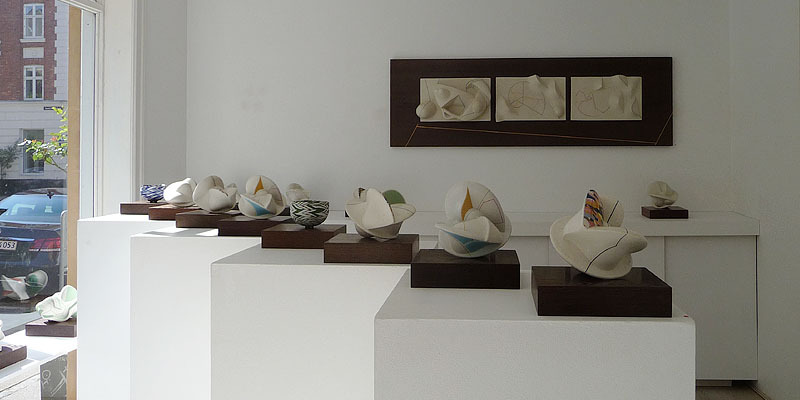 This exhibition will focus on her great craftsmanship and original work.